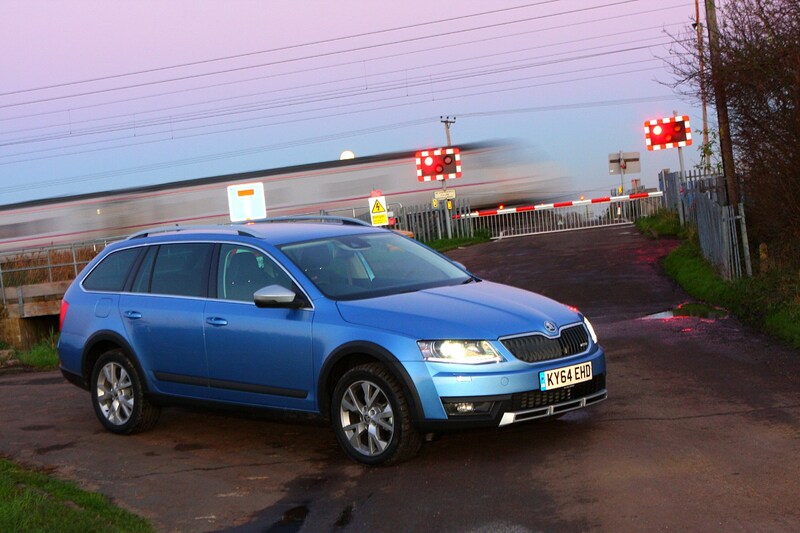 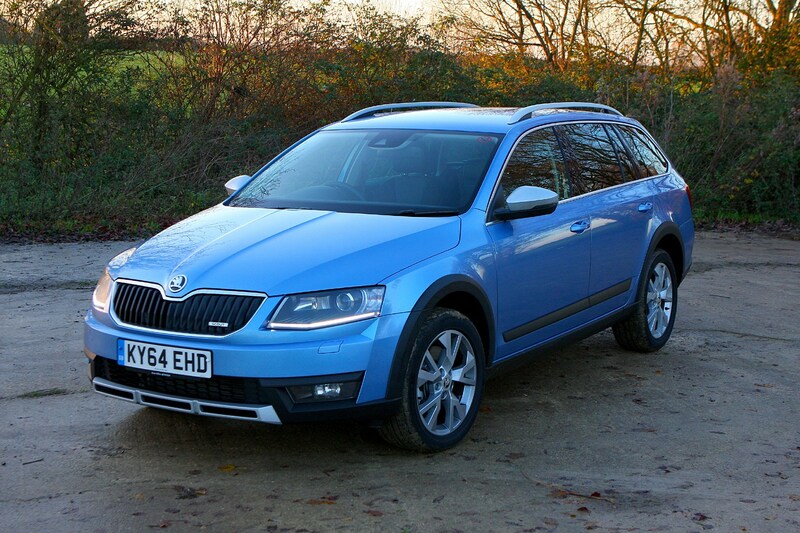 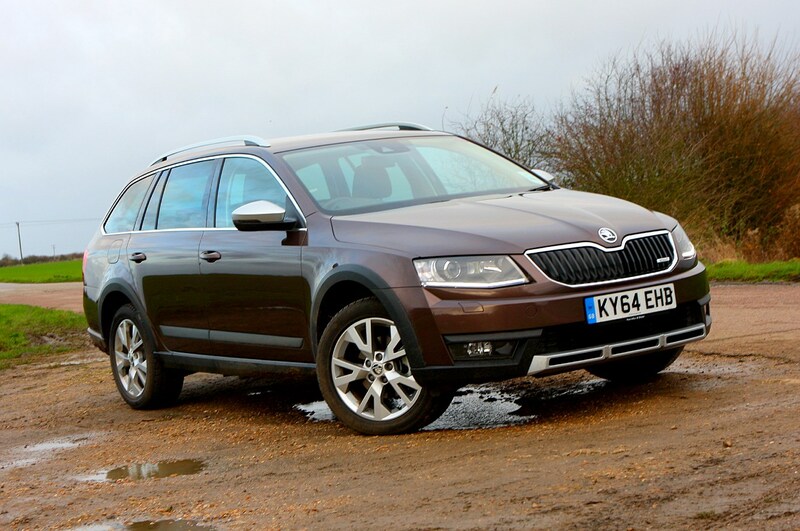 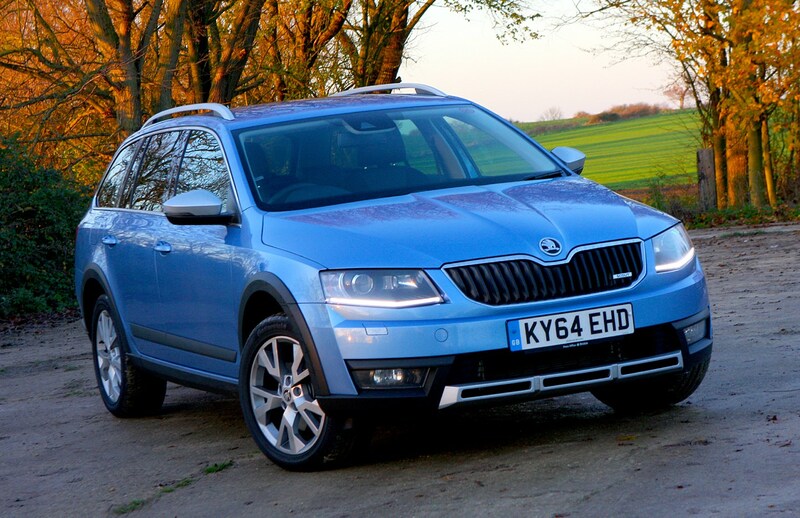 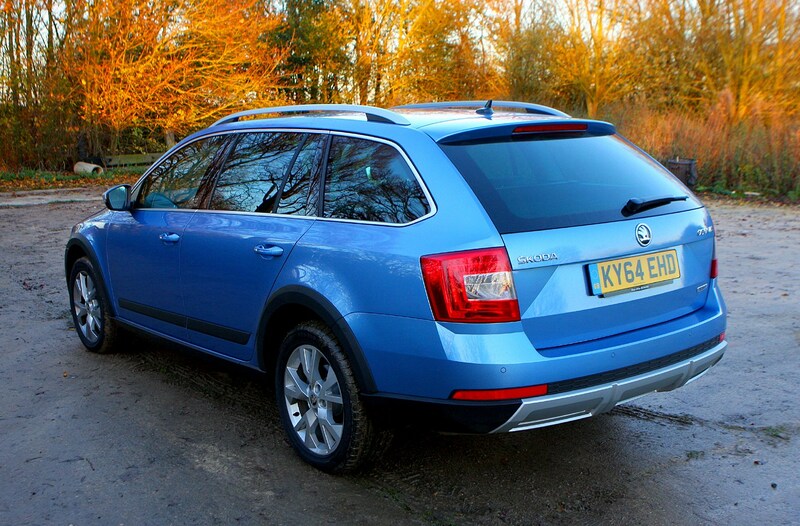 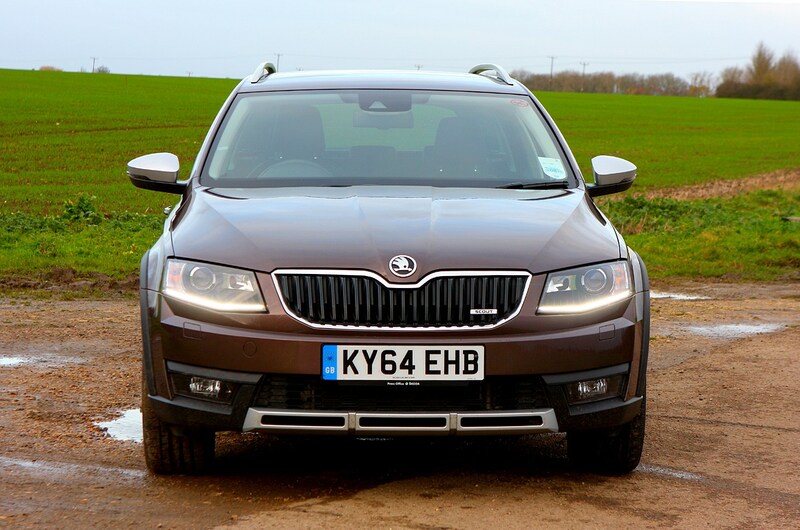 Which Skoda Octavia Scout is best for me? 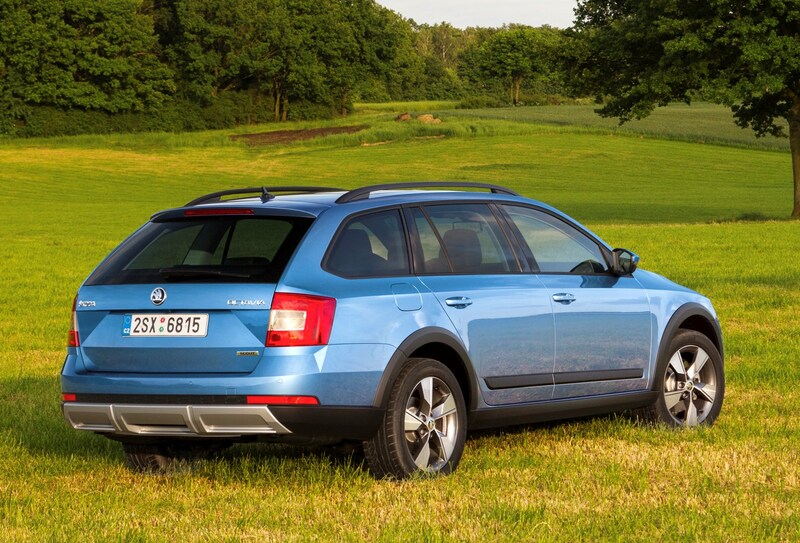 If you’re on a budget, a regular Octavia Estate may make more sense, as the Scout sits at the top of the Octavia tree. 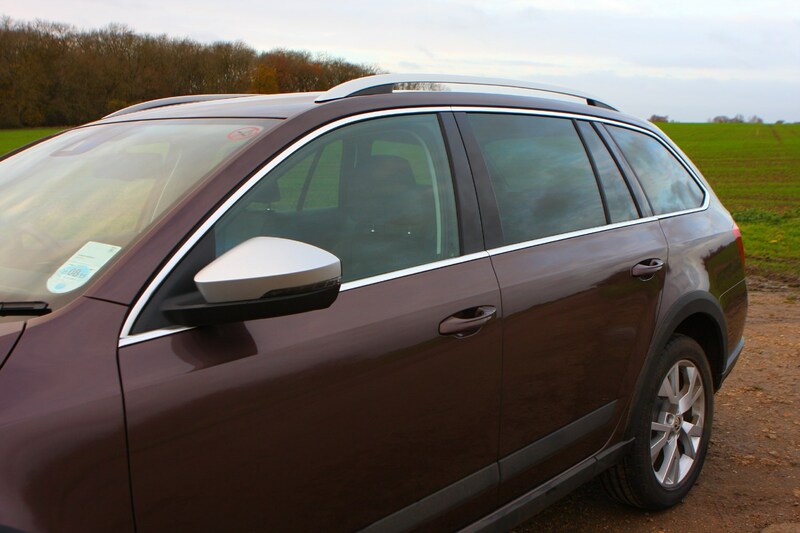 However, if you want a Scout and lower running costs are a priority, the 150hp version of the 2.0-litre TDI diesel will make most sense, thanks to claimed fuel economy in excess of 50mpg, and marginally lower CO2 emissions. 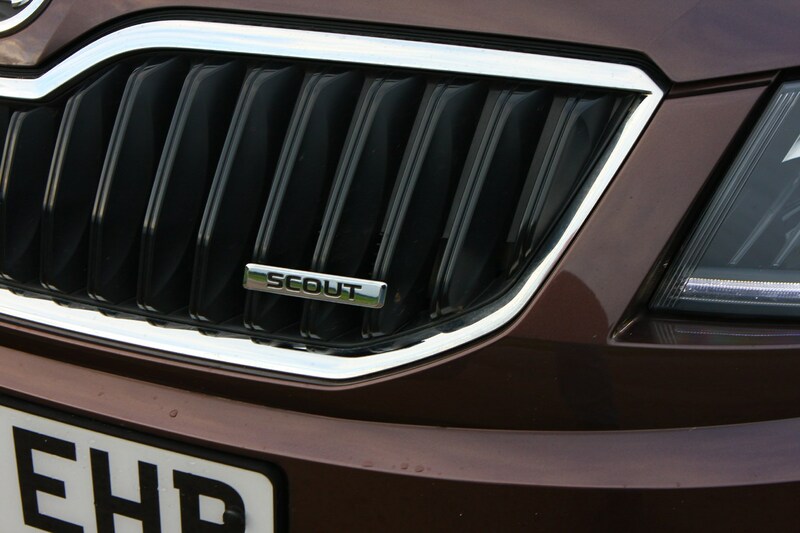 For these reasons, the 150hp Scout will also make more sense to company car drivers, with CO2 emissions of 130g/km – 3g/km lower than the 184hp DSG. 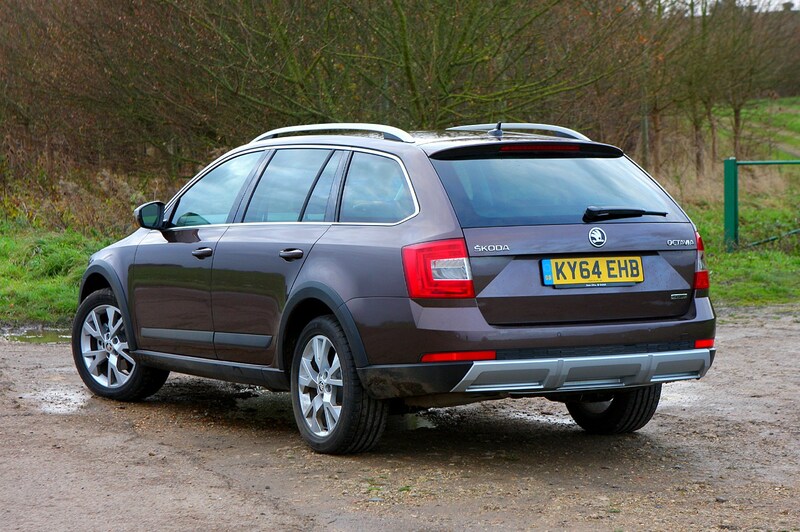 However, some may appreciate the power boost of the 184hp version, as well as the smooth-shifting automatic gearbox for longer motorway jaunts. 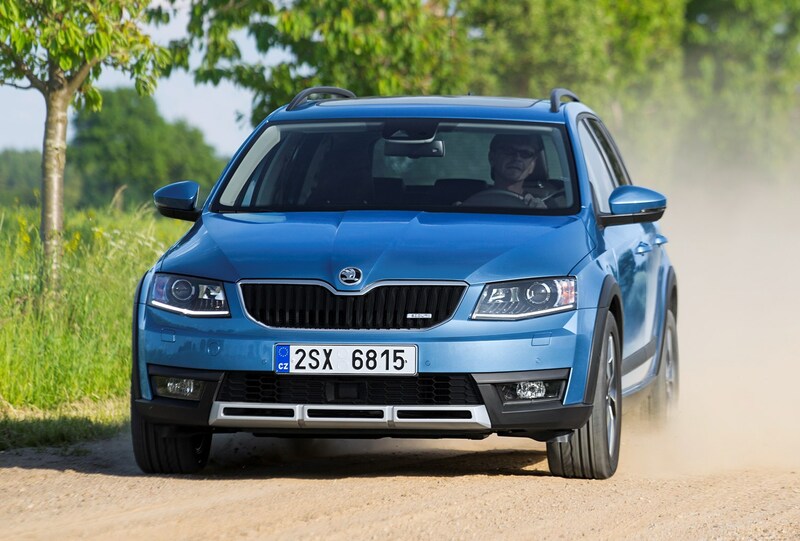 With the UK caught out once again by a third of an inch of snow, we travelled north to the minus 27 degree wilderness of the Finnish Arctic Circle for a bit of perspective, and some lessons in winter driving. 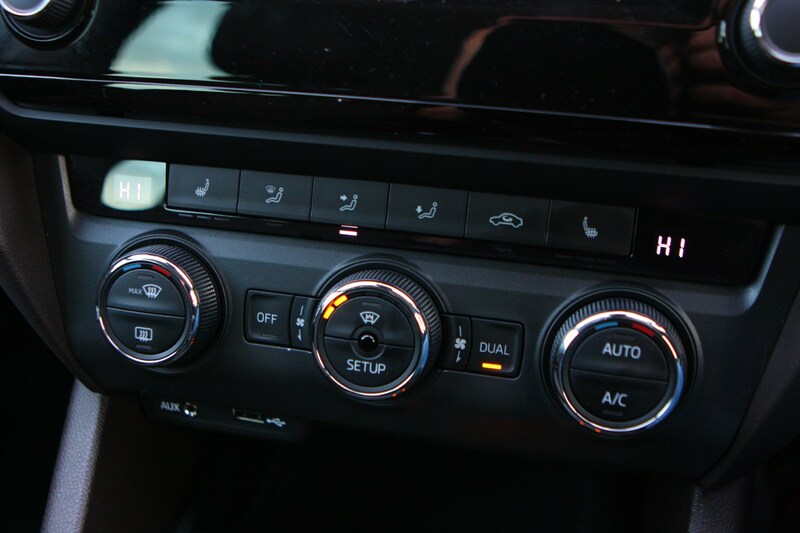 Part of the reason we struggle to drive here when it snows is because the cars we own are inadequately equipped – usually front- or rear-wheel drive, with summer tyres that offer little to no grip on frozen roads. 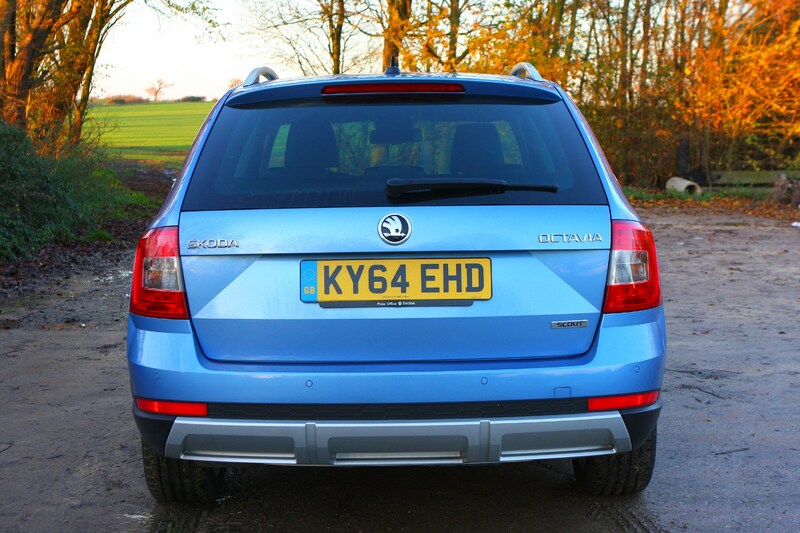 In fairness that’s largely down to the fact that snow is a relatively rare occurrence here. 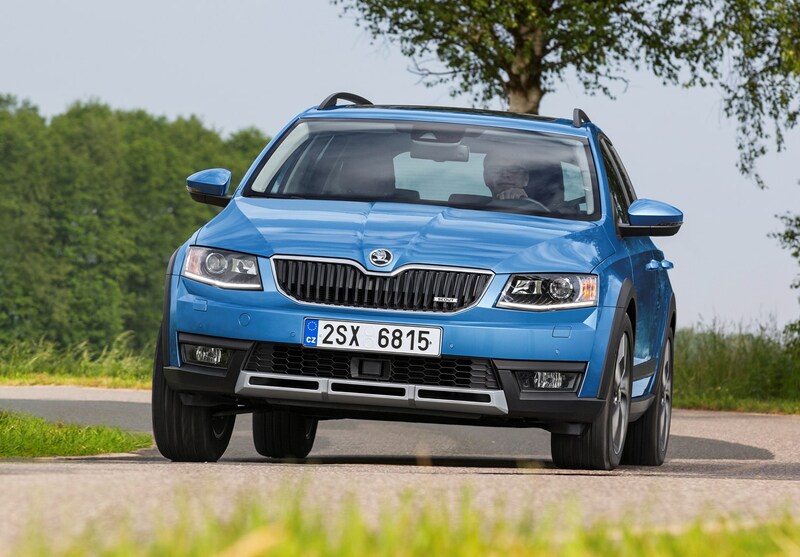 In Scandinavia, where it’s the norm, people are better used to the challenge and quite rightly choose an all-wheel drive car with winterproof studded tyres. 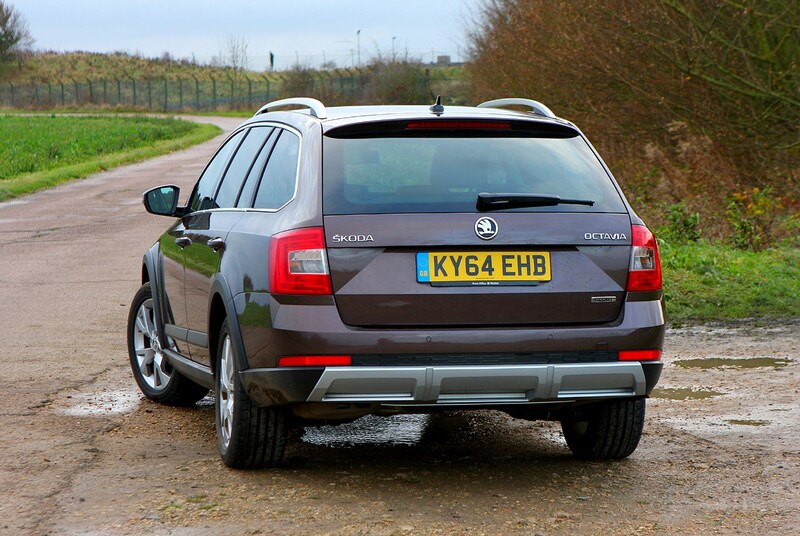 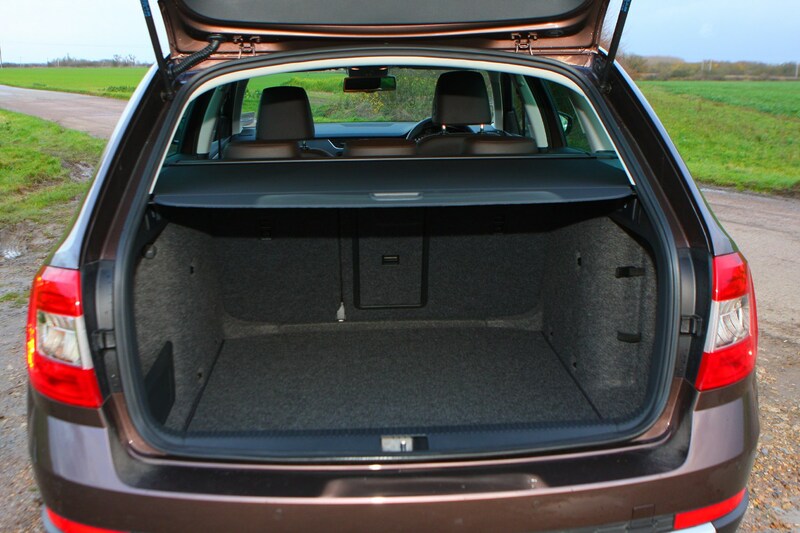 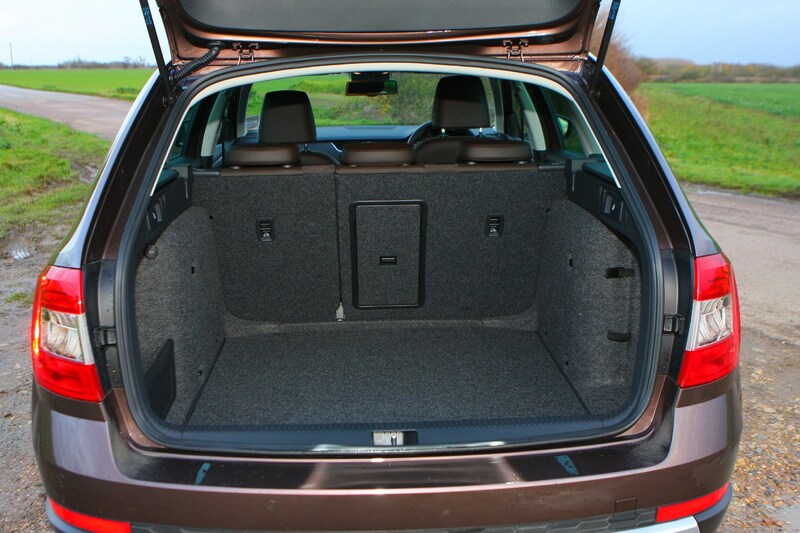 That’s exactly how our 4x4 Skoda Octavia Scout test car was equipped – its tyres peppered with little metal studs that offer additional purchase on snow and ice, like a pair of football boots on a muddy playing field. 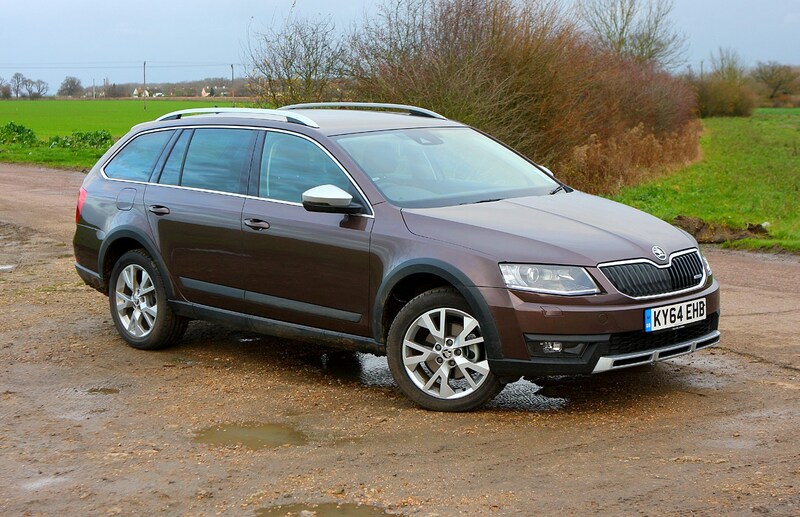 Arguably this gives an unrealistic opinion of the Octavia’s prowess on snow and ice, because nobody in the UK keeps a set of studded tyres in the garage for our three days of snow. 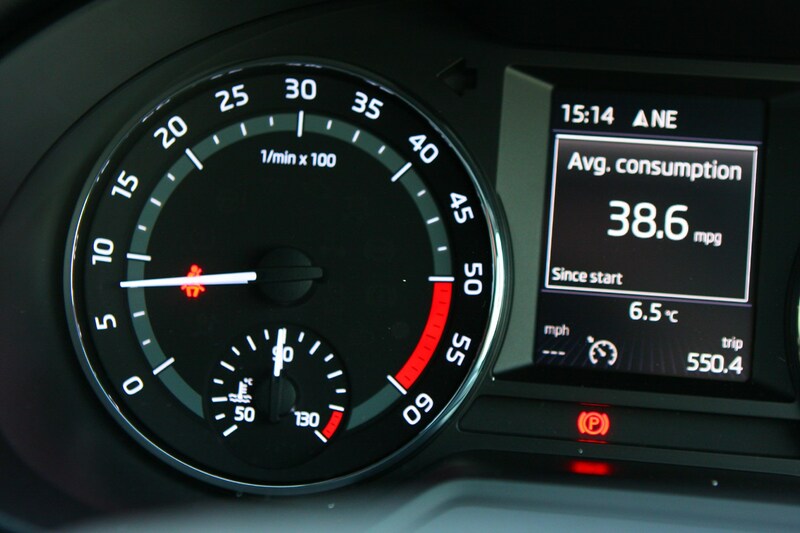 However, the conditions in Rovaniemi were so wild, I reckoned it was broadly comparable to driving during our winter on normal tyres. 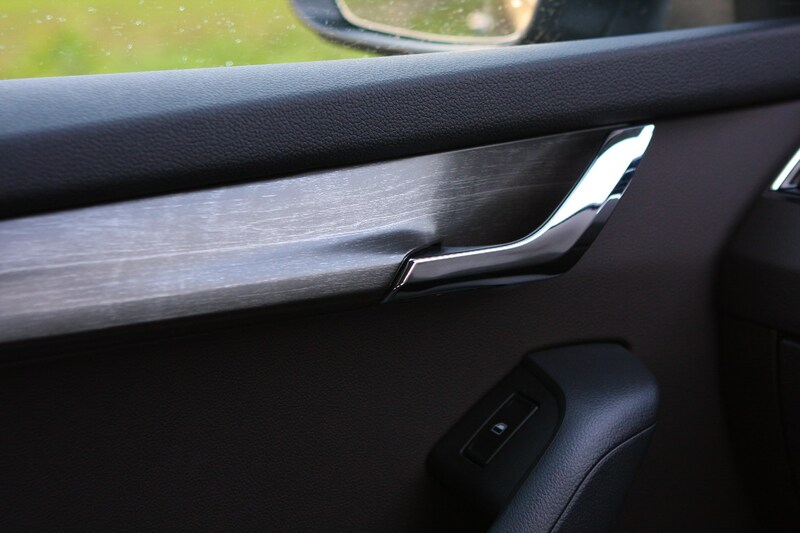 How wild? 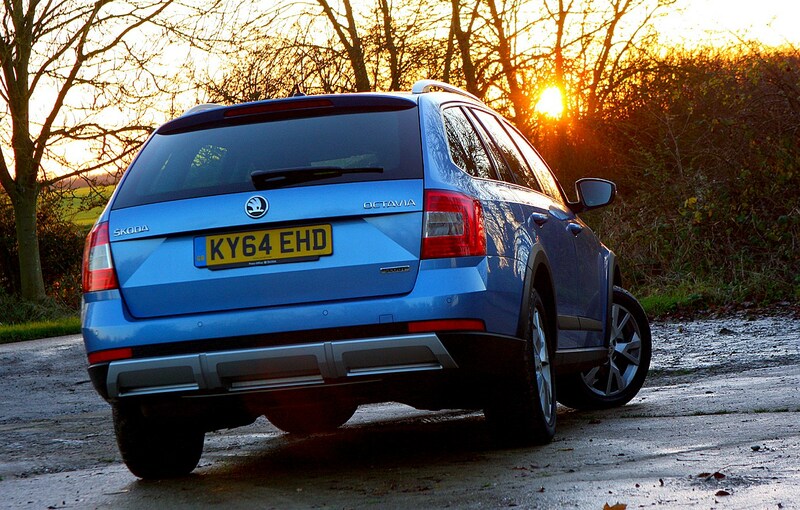 Well the snow was so deep there was no hope of breaking through to tarmac underneath (also, there isn’t any tarmac underneath) and I found myself waist deep in a snow bank having got out to take a picture. 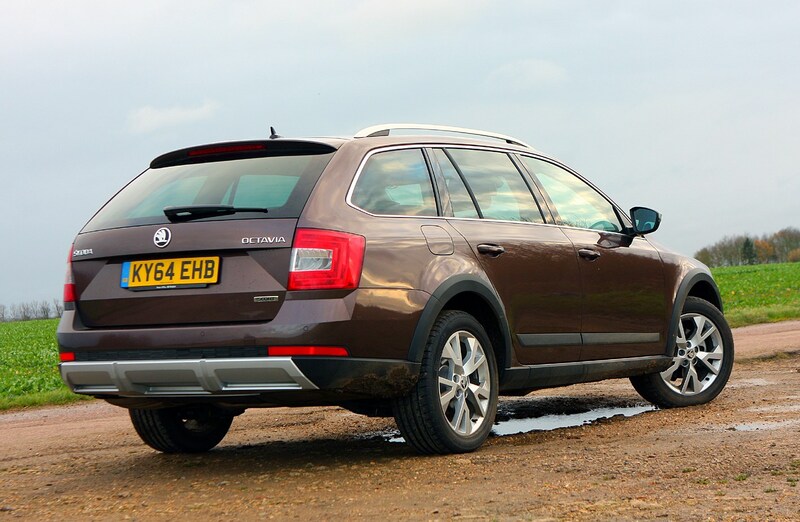 The Skoda Octavia Scout is a 2.0-litre diesel-only, Haldex-all-wheel-drive-equipped estate car with a boosted ride height and some plastic cladding for peak off-roader image. 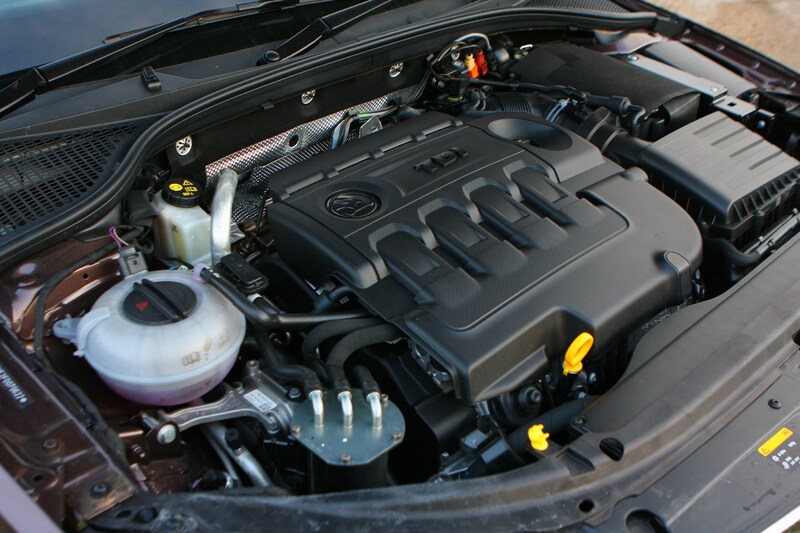 There are two power outputs – 150hp and 184hp – the latter with 340Nm of torque and sold only with a DSG automatic gearbox. 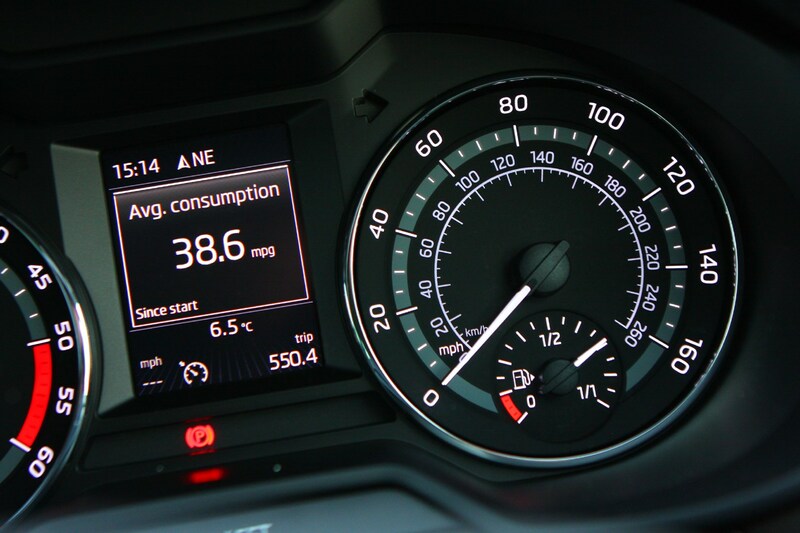 It’s only marginally faster from 0-62mph, crossing the line in 8.4 seconds, two tenths before the lower-powered car, but that’s not much to write home about. 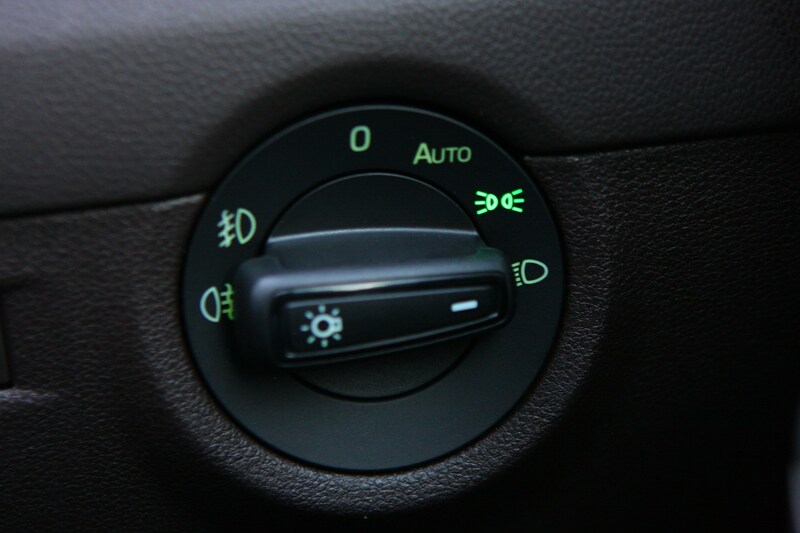 What’s it like in slippery conditions? 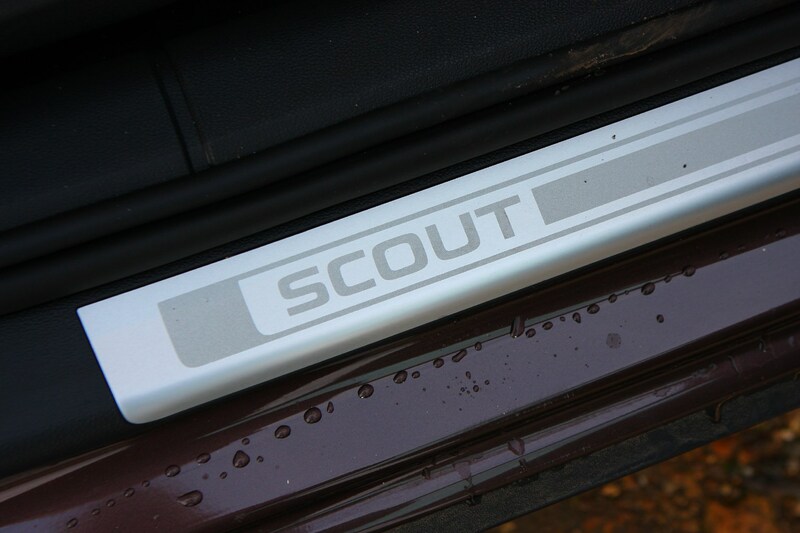 The Scout boasts an emboldening amount of grip on the icy handling track we drove it around, pulling away with minimal fuss and biting into corners without ploughing straight on. 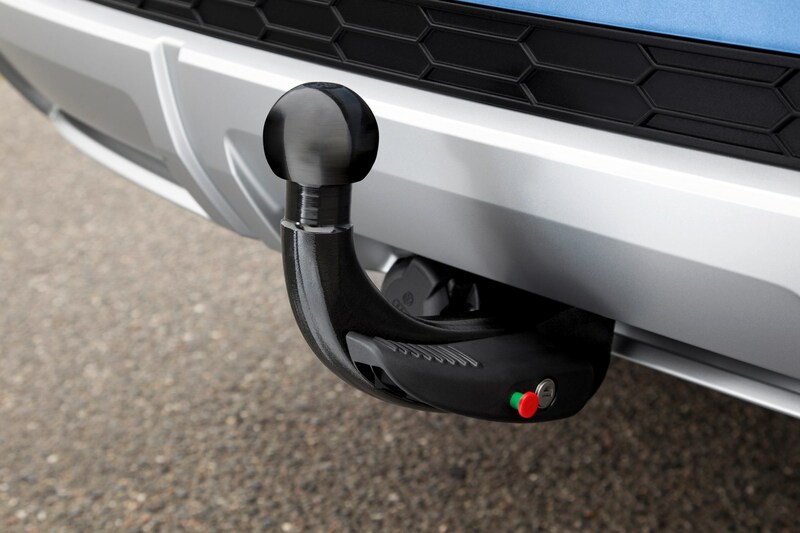 As the all-wheel drive system senses a lack of grip in the front wheels, it can divert power to the rear and apply braking force to individual corners to help pull you straight again. 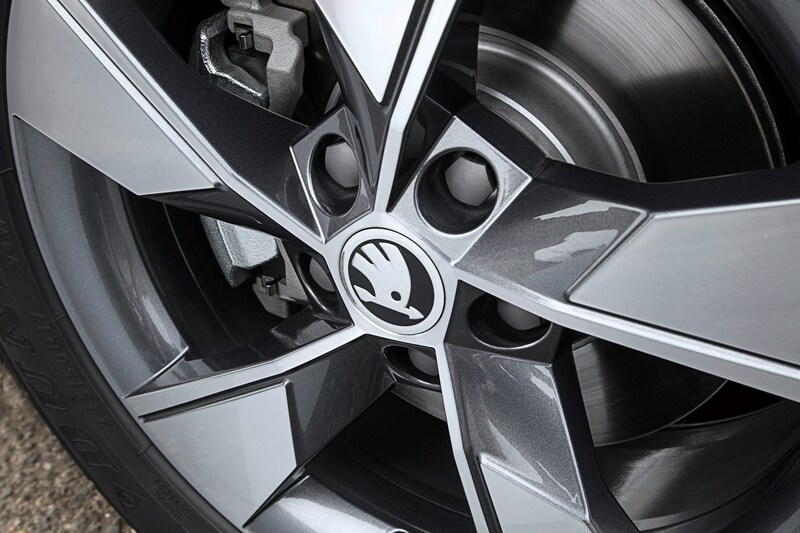 Its natural state is to intervene early and bring things back under control by slowing you to the point of traction. 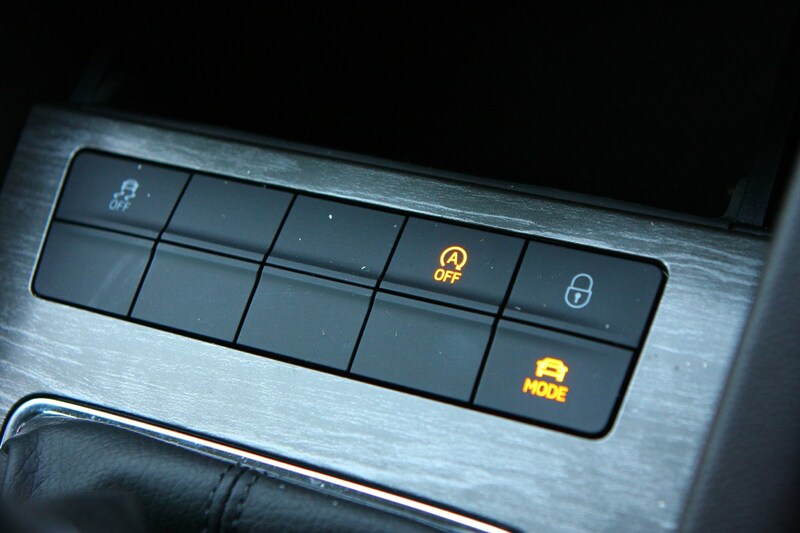 If this all sounds too sensible you can turn the traction control off in two stages – the first simply loosening its grip on the car’s chassis, the second allegedly deactivating it completely. 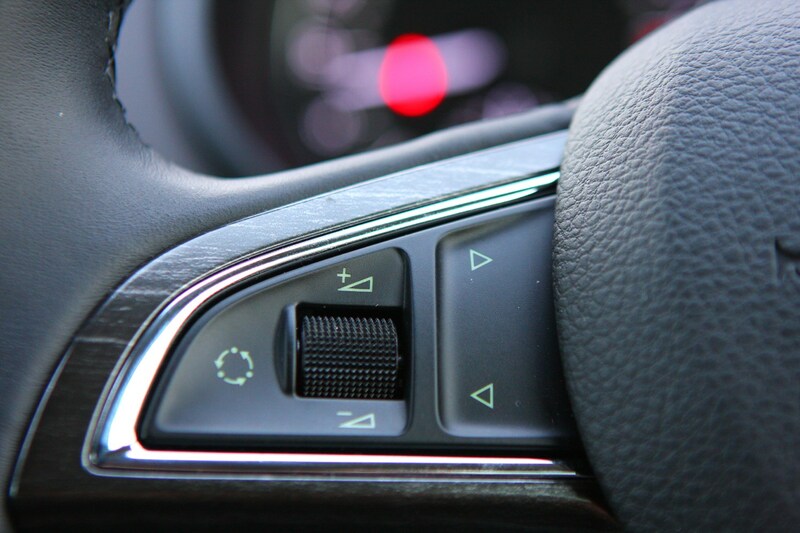 In reality, even in the second mode, it’s still on a bit. 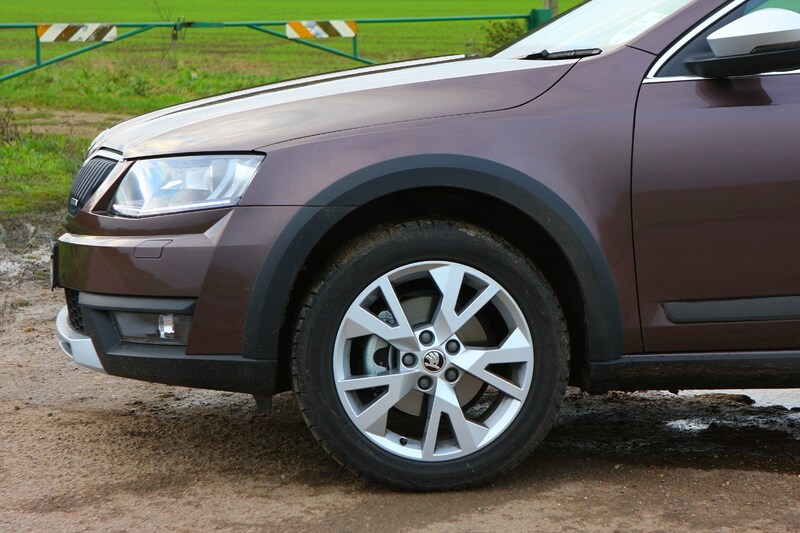 With a bit more freedom you can use the power going to the rear wheels to push the rear of the car around, and even in this state the Octavia Scout feels responsive to your inputs and under complete control. 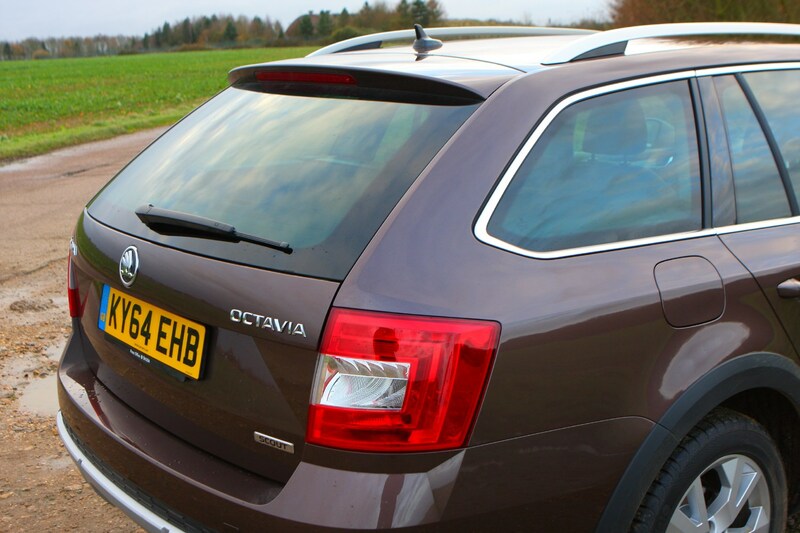 Driving a studded-tyred car around an icy handling course is probably way beyond what most Octavia Scout owners will want to do. 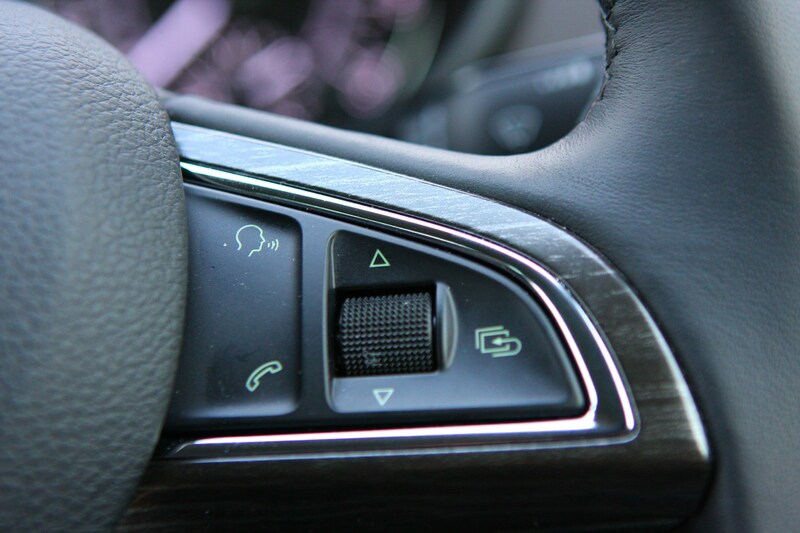 You’re also very unlikely to turn the traction control off or even down in such conditions, but we were very impressed by how planted the car felt even without the full suite of electronic aids helping to keep it pointed straight on. 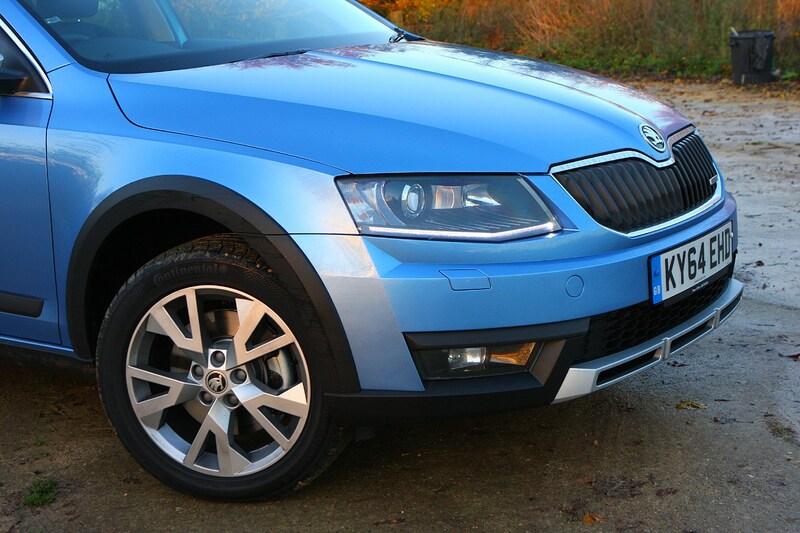 We reckon this car with a set of winter tyres would feel pretty much invincible during our colder months, enabling even less confident drivers to get about in the snow without bother. 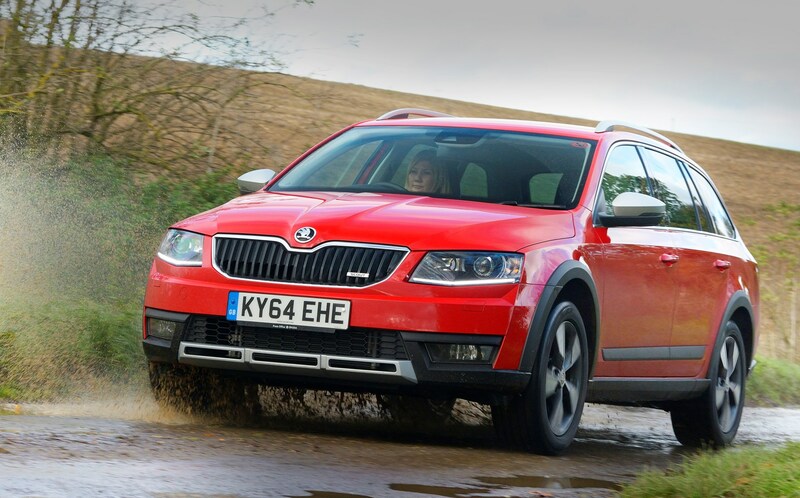 If you want a performance Octavia, the vRS will be for you, as the Scout is more about rugged versatility than out-and-out thrills. 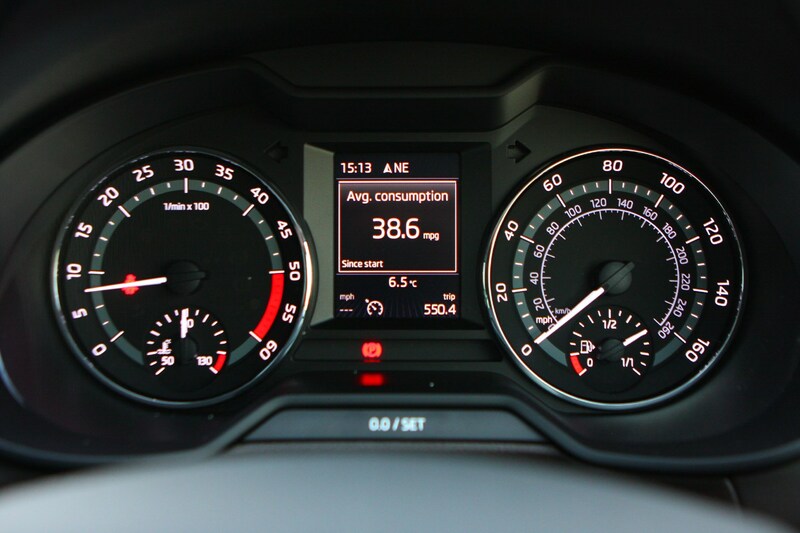 However, the 2.0-litre TDI pushes out 184hp and a hefty 380Nm of torque for fairly rapid progress. 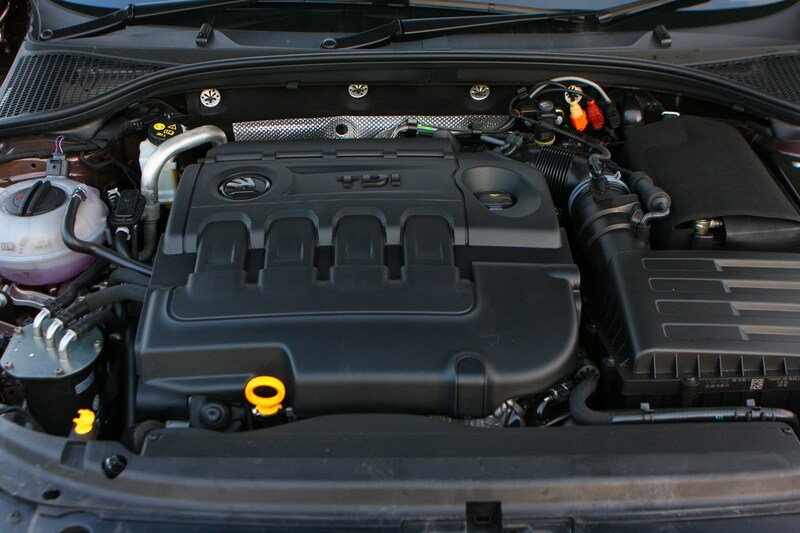 In fact, it’s the same engine you’ll find in a VW Golf GTD or SEAT Leon FR (as well as the diesel Octavia vRS), so you won’t struggle to keep up. 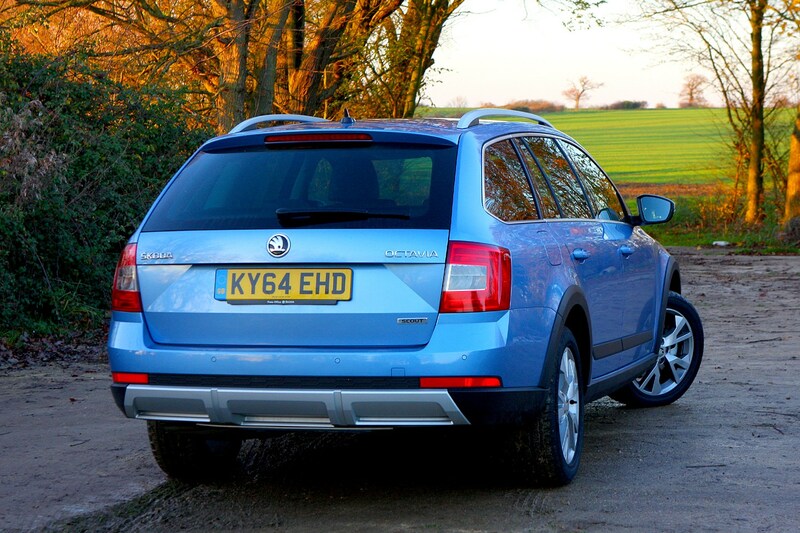 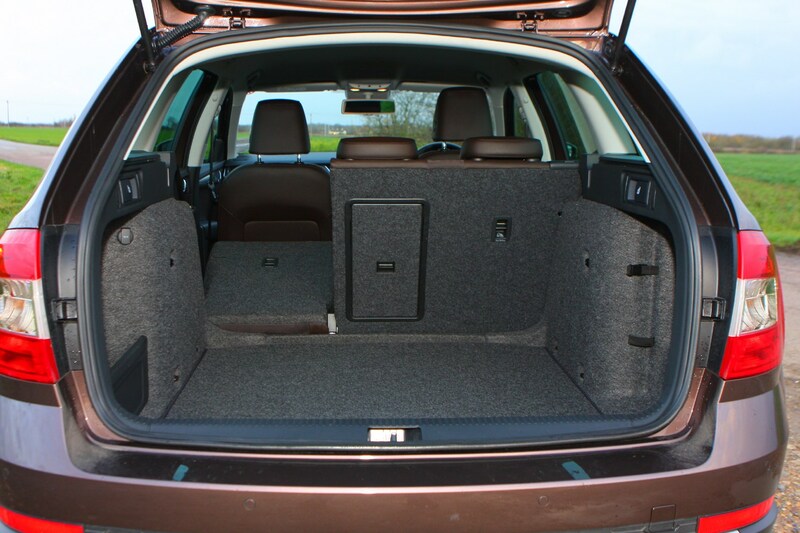 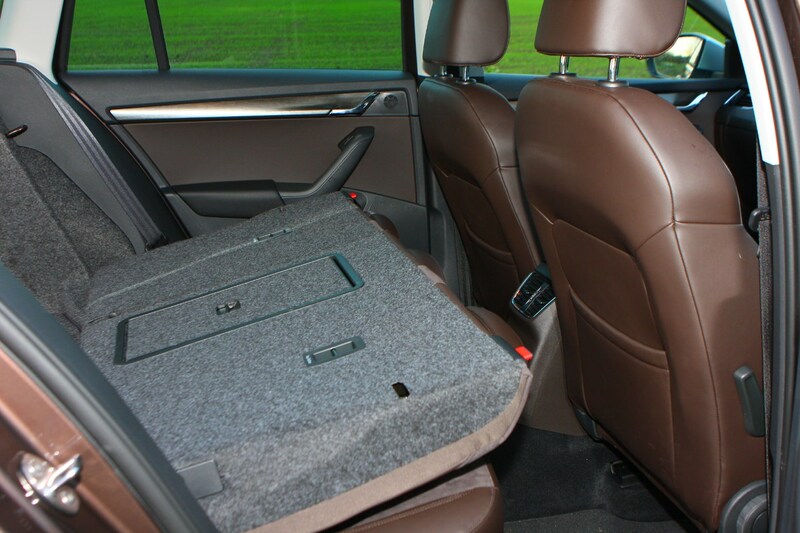 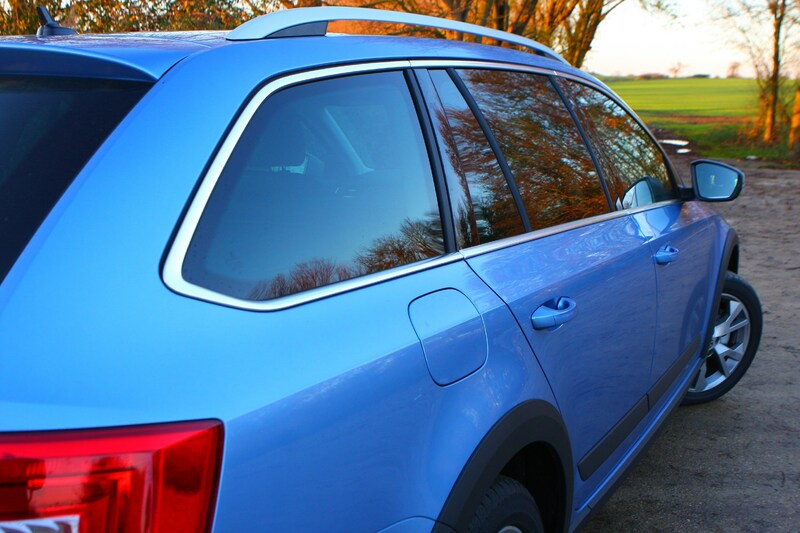 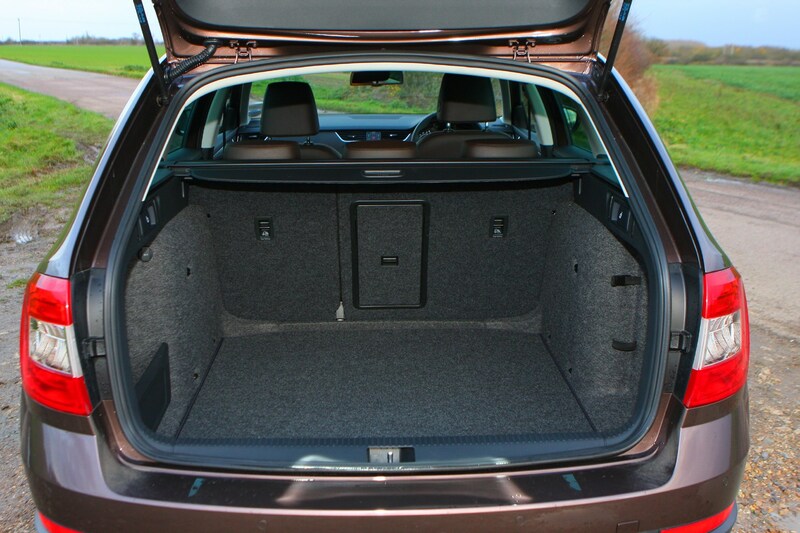 Which optional extras should I choose on my Skoda Octavia Scout? 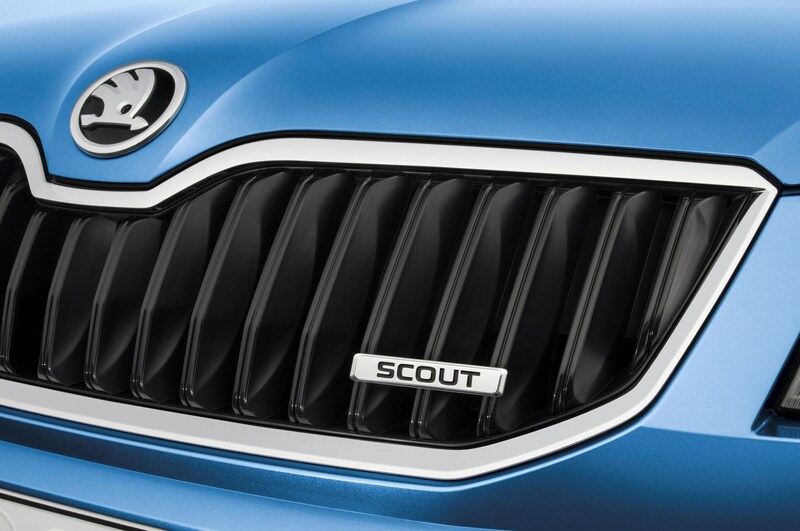 While the Scout is only available in one trim level, there are still a number of optional extras on offer that we’ve had the opportunity to test. 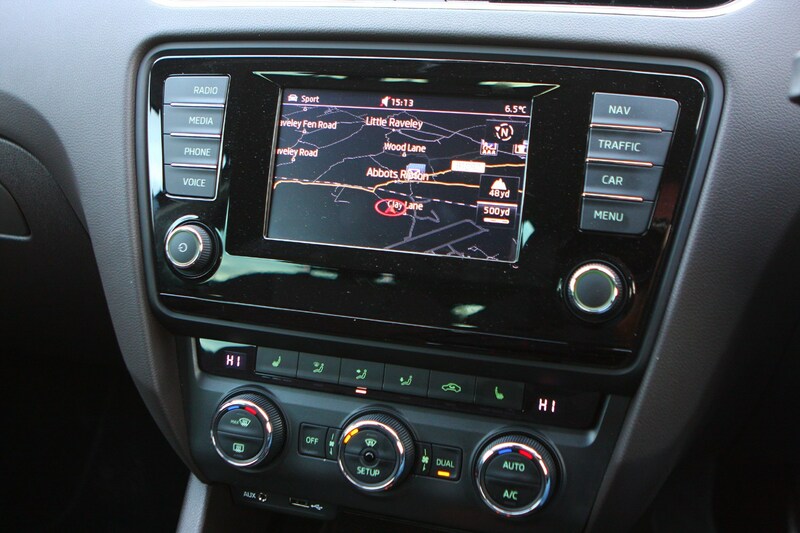 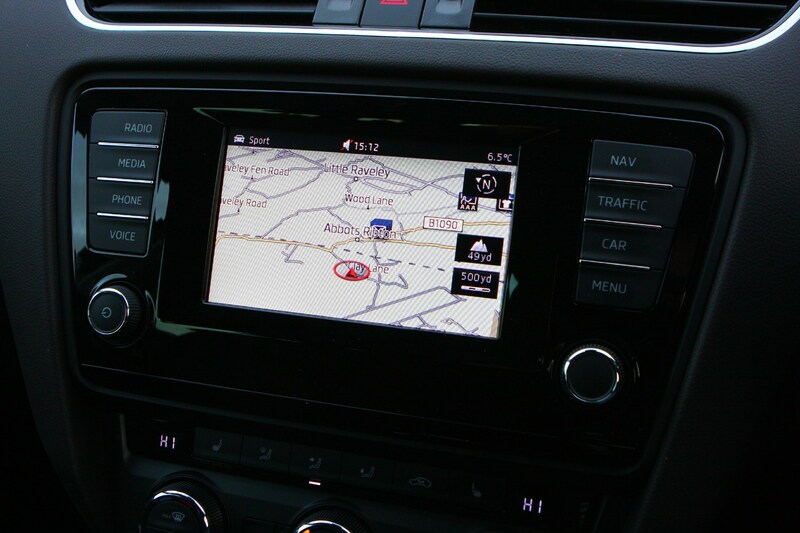 The Columbus sat-nav upgrade costs £1,050. 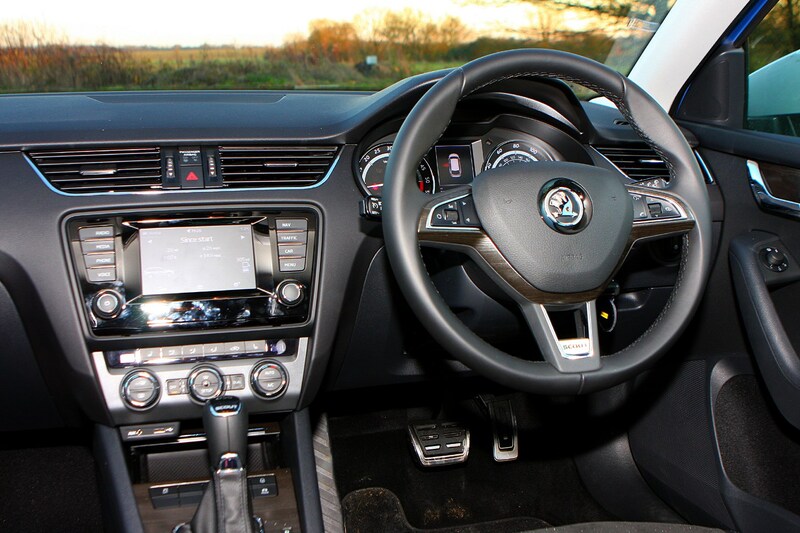 While this features a highly responsive 9.2-inch touchscreen, we’d steer clear because the 8.0-inch Amundsen unit you get as standard already has sat-nav, Bluetooth, DAB radio and integrated Wi-Fi built in. 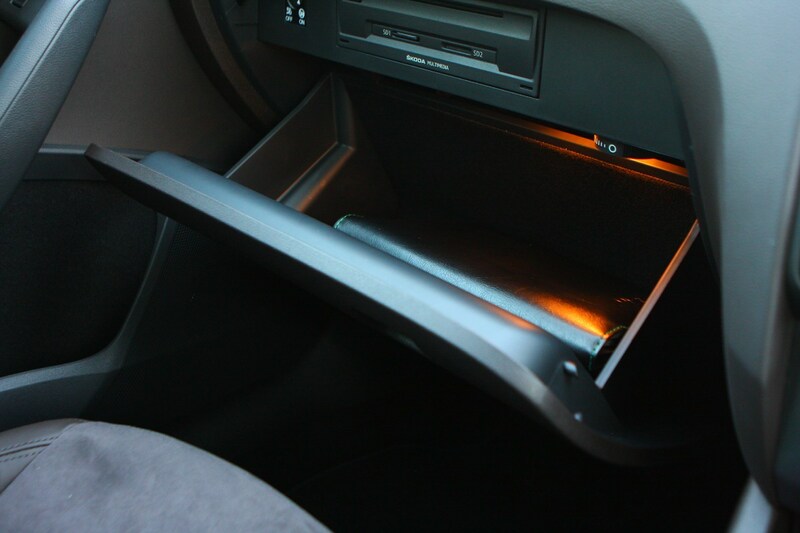 Do you really need the extra 1.2 inches? 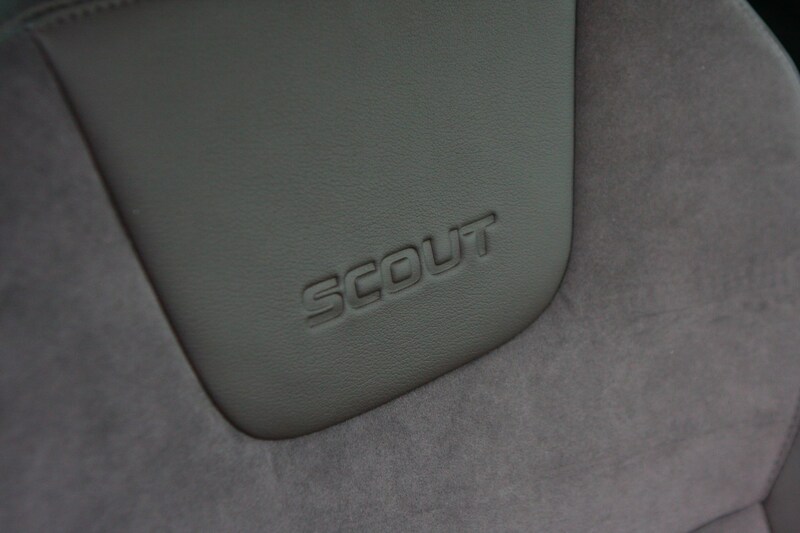 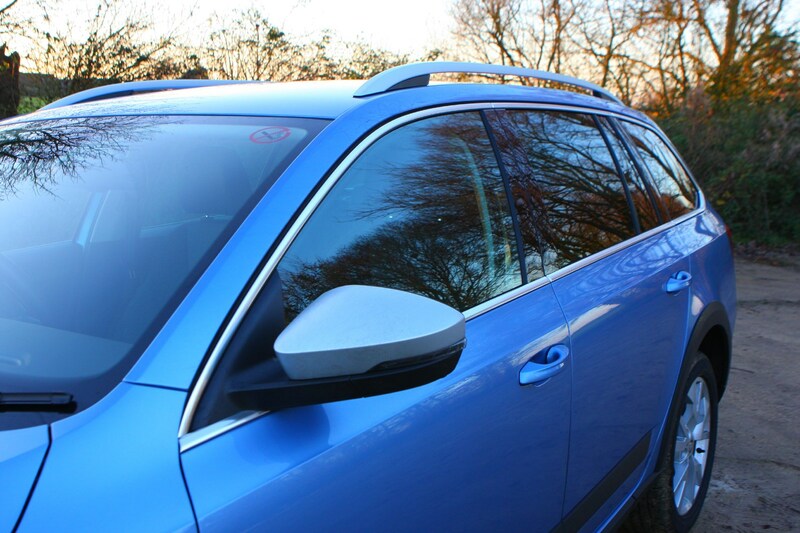 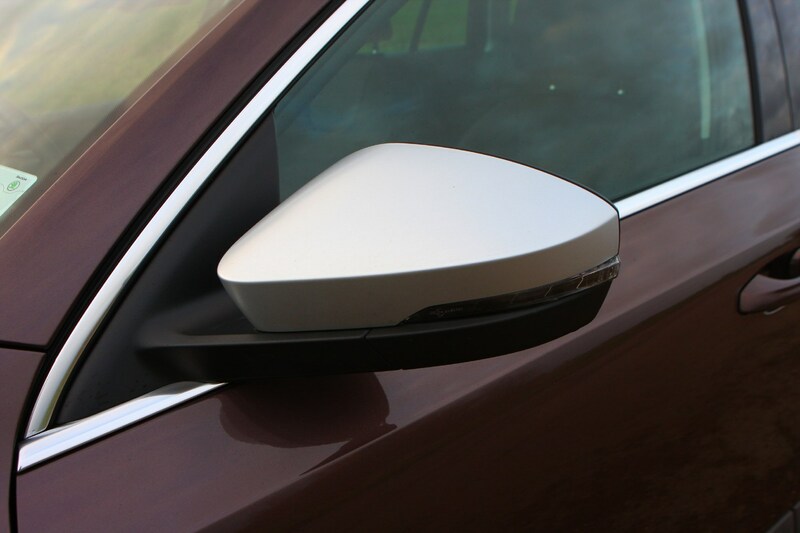 We’d definitely consider the automatic parking system available for £590, but we wouldn’t bother with the rear-view parking camera because the Scout comes with acoustic sensors that are easier to use thrown into the list price. 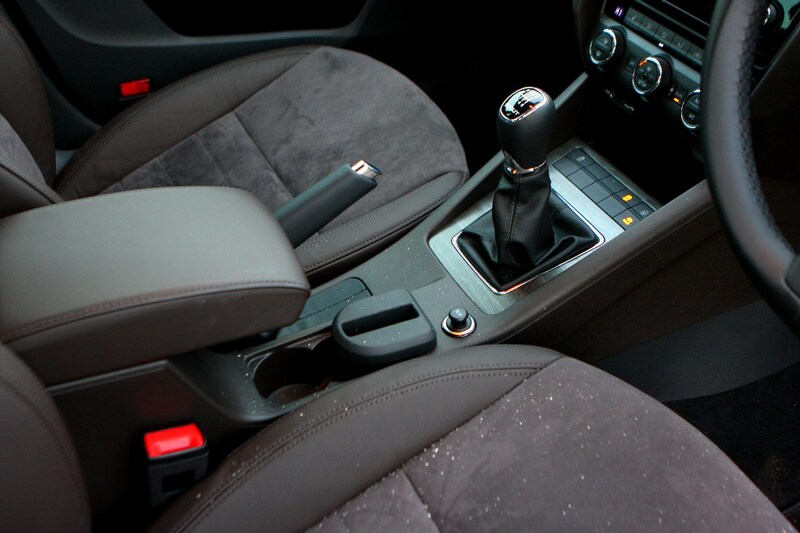 In this case there's a simple choice to be made here: do you need a manual or an automatic? 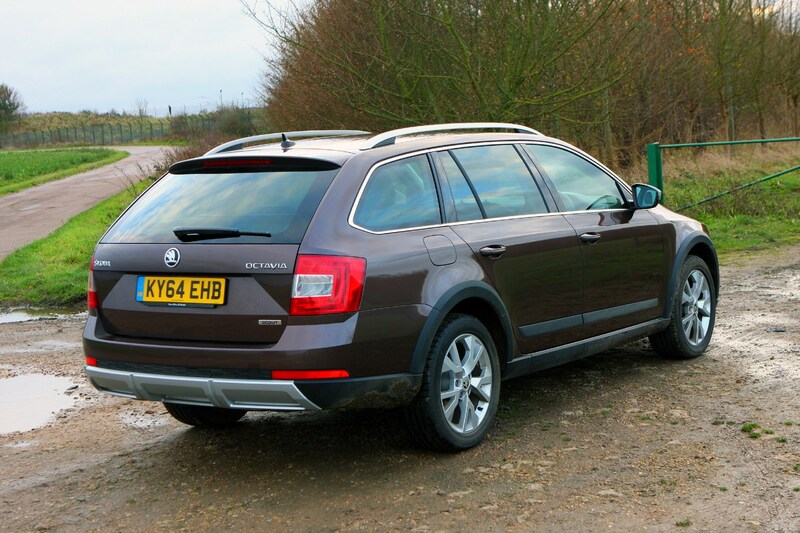 If it's the former, you'll want the 150hp diesel, and the latter is only available with the 184hp we're testing here. 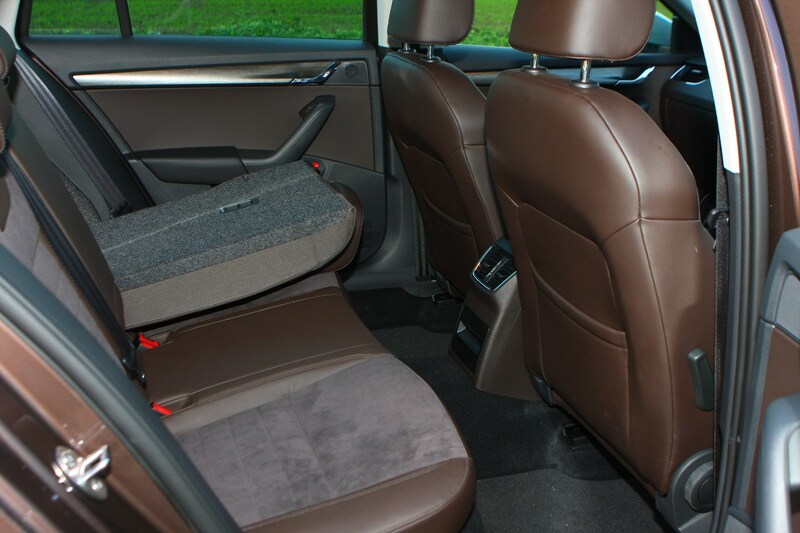 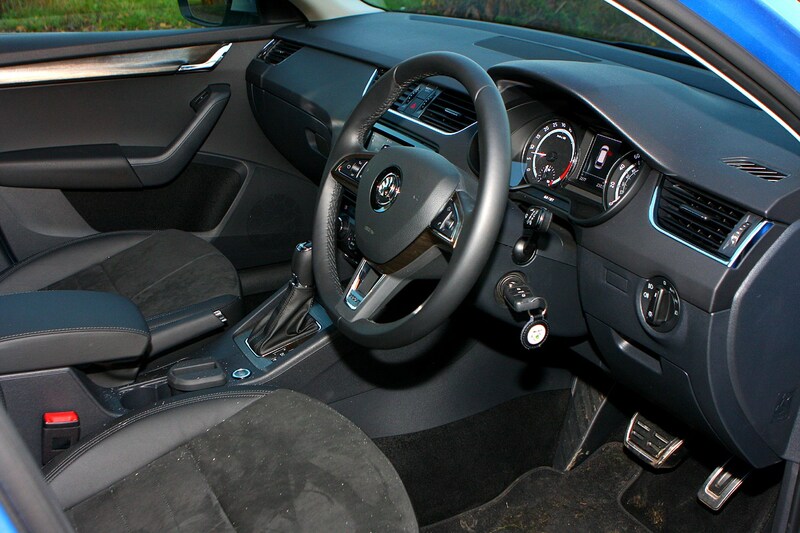 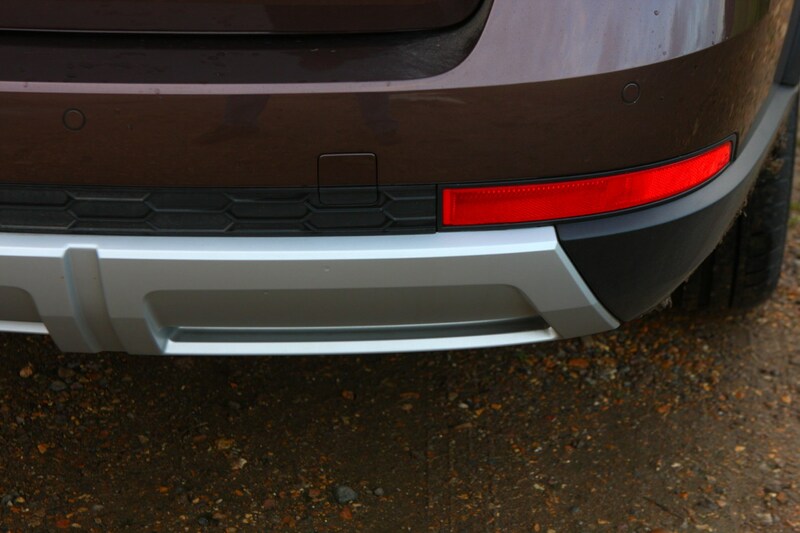 Then it's down to deciding which optional extras suit your needs. 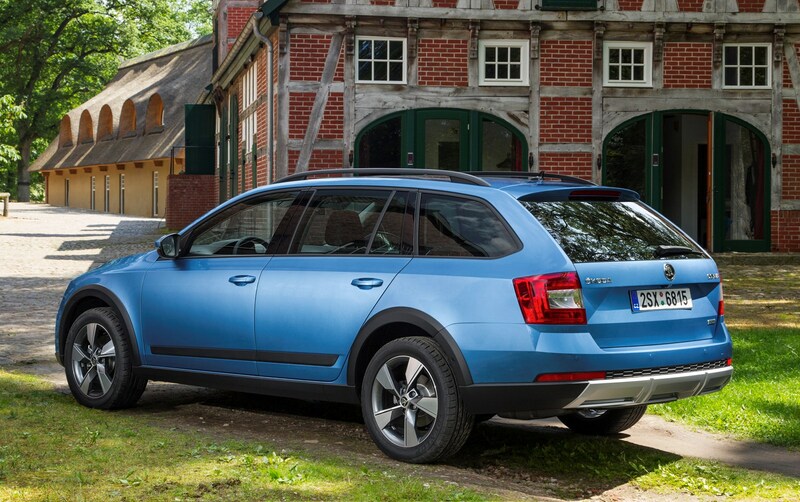 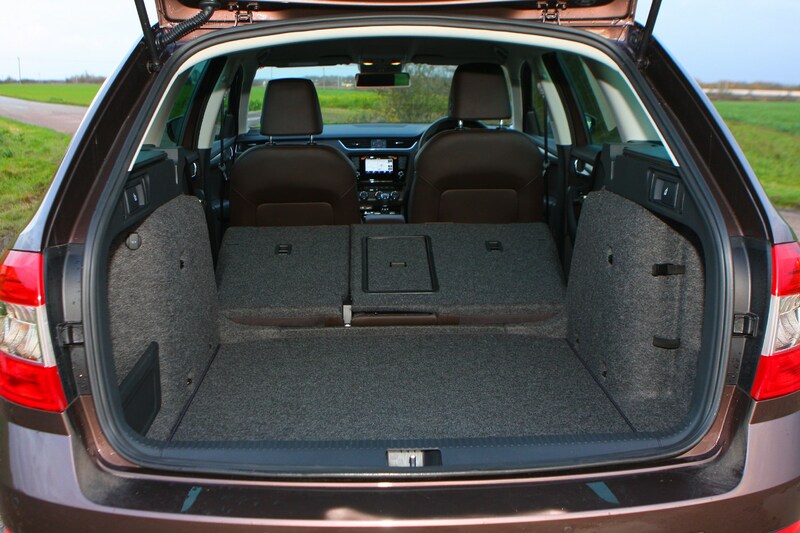 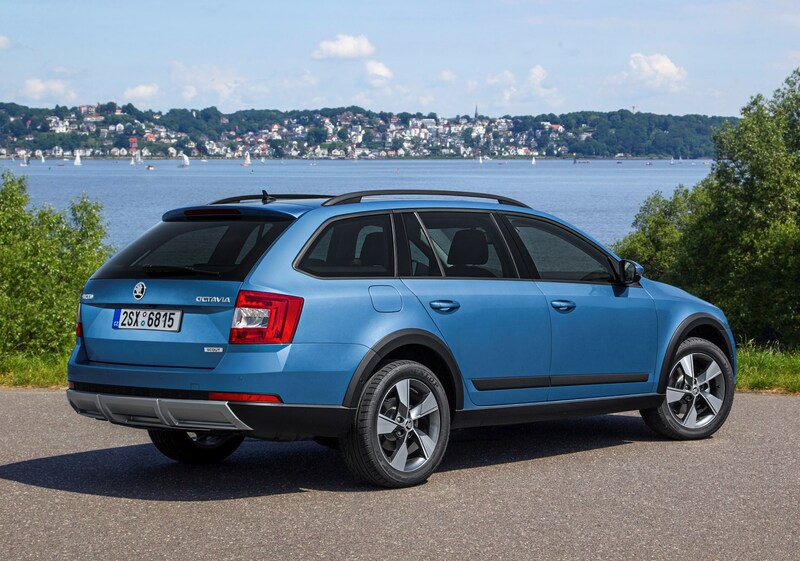 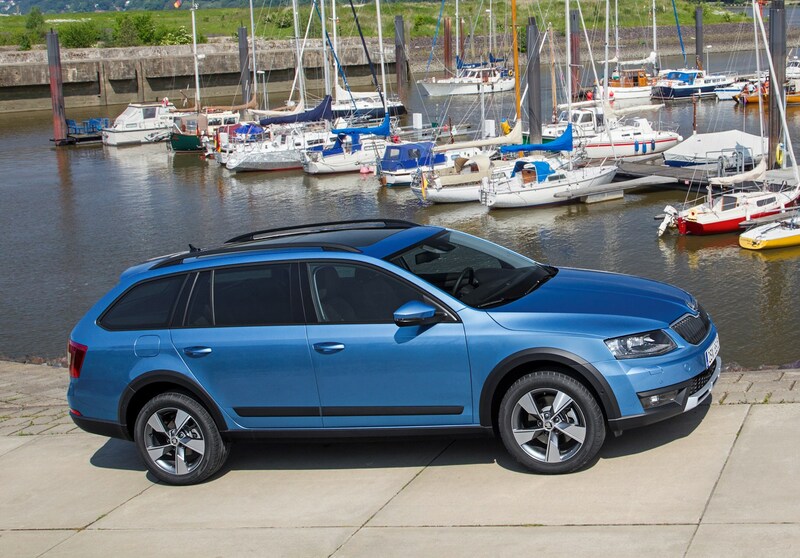 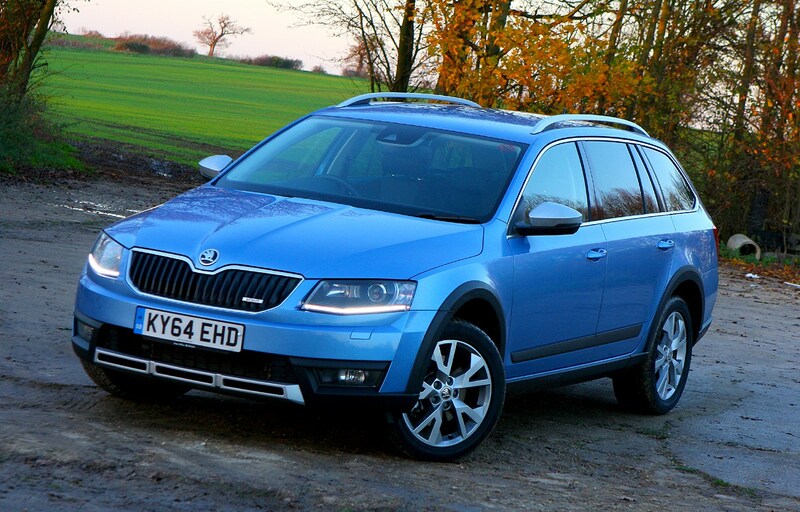 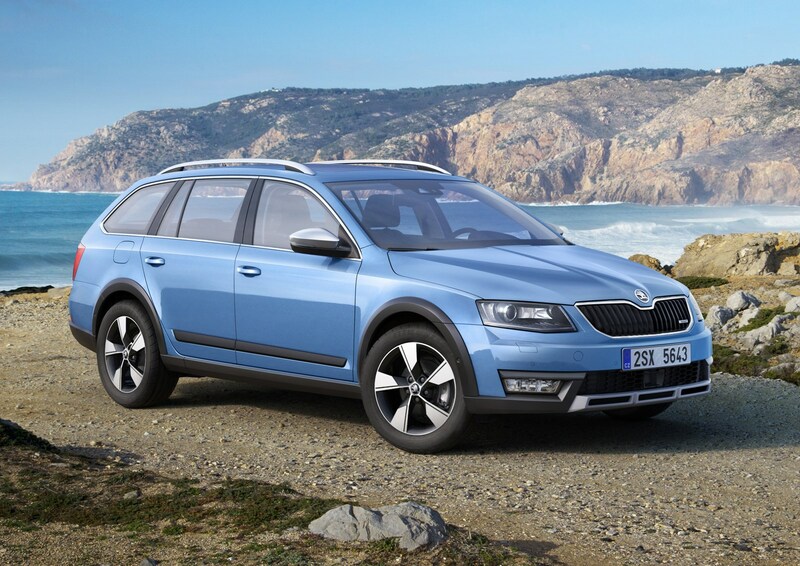 July 2014 – SUV-inspired looks and standard four-wheel drive convert the Octavia Estate into the latest Scout. 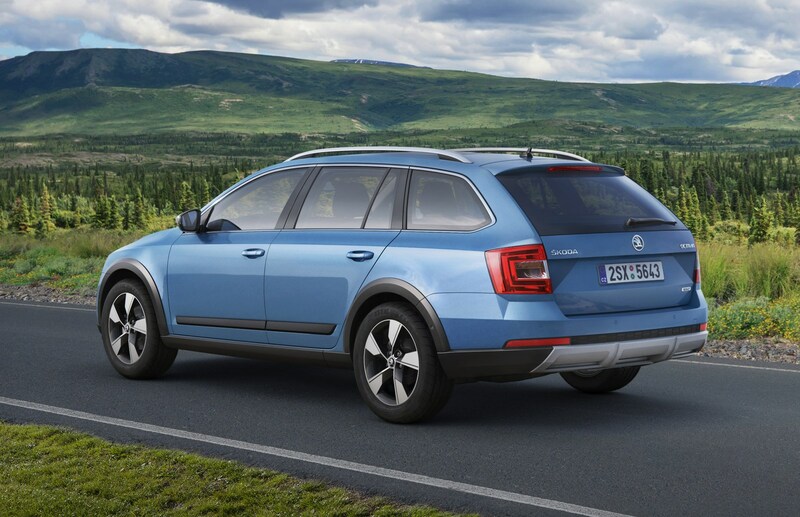 A pair of 2.0-litre TDI diesels are offered: 150hp with manual transmission and 184hp with the smooth DSG automatic alternative. 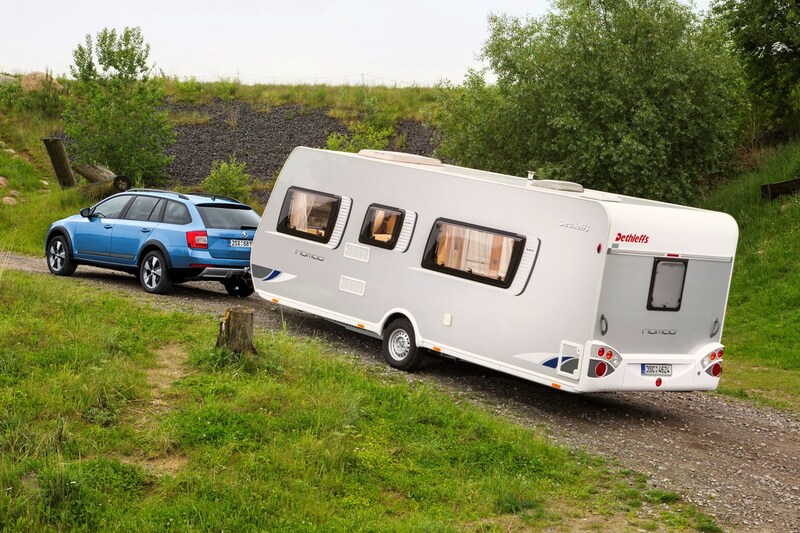 June 2016 – Minor specification changes for 2017 see the introduction of optional Dynamic Chassis Control becoming optionally available; further changes include an allergy filter for the climate control system and washer jets to keep the reversing camera clean. 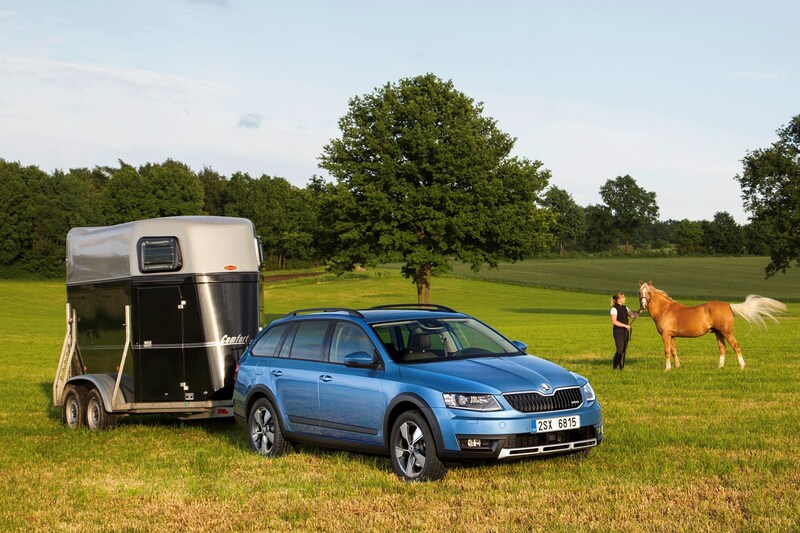 March 2017 – Featuring the same distinctive quad-headlamp front as the rest of the revised Octavia range, the Scout is exclusively available with four-wheel drive and a choice of 2.0-litre diesel engines. 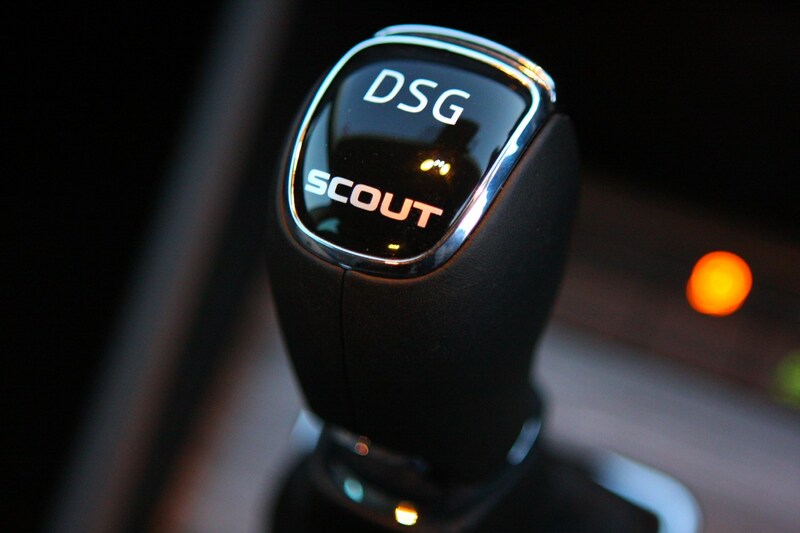 Opt for the manual gearbox and it’s paired with a 150hp unit, while the DSG automatic features a 184hp motor. 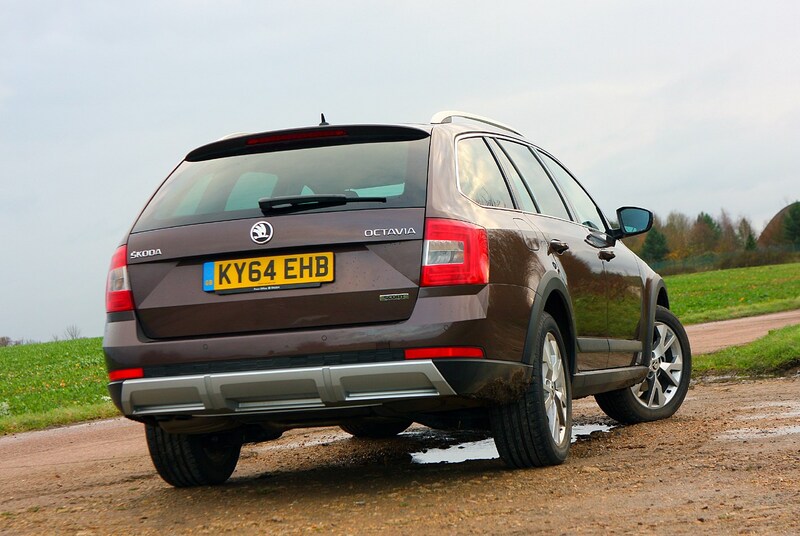 The Scout is more of a niche choice in the Octavia range, and it’s also one of the most expensive, but your local Skoda dealership should be your first port of call if you’re looking to buy one. 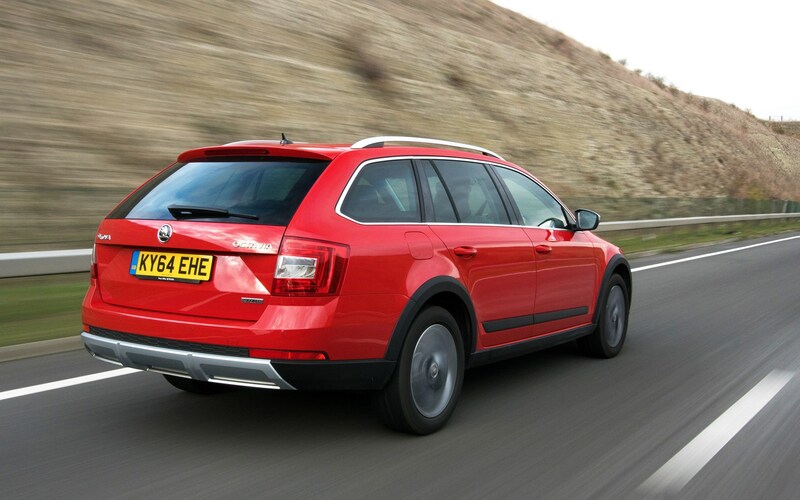 They’ll be able to offer the latest cash discounts and finance options, and Skoda is normally very competitive with low interest rates and tempting deposit contributions. 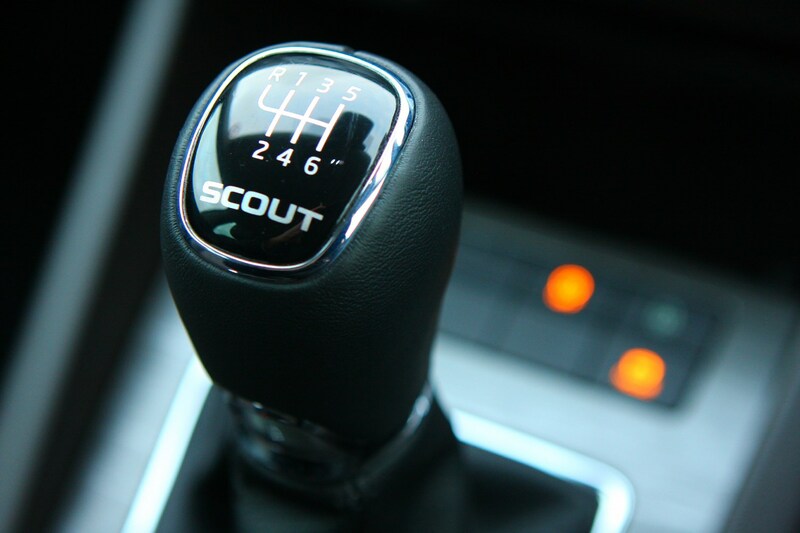 There are only two options to choose from – the manual 150hp and the DSG 184hp version, so picking shouldn’t be too difficult. 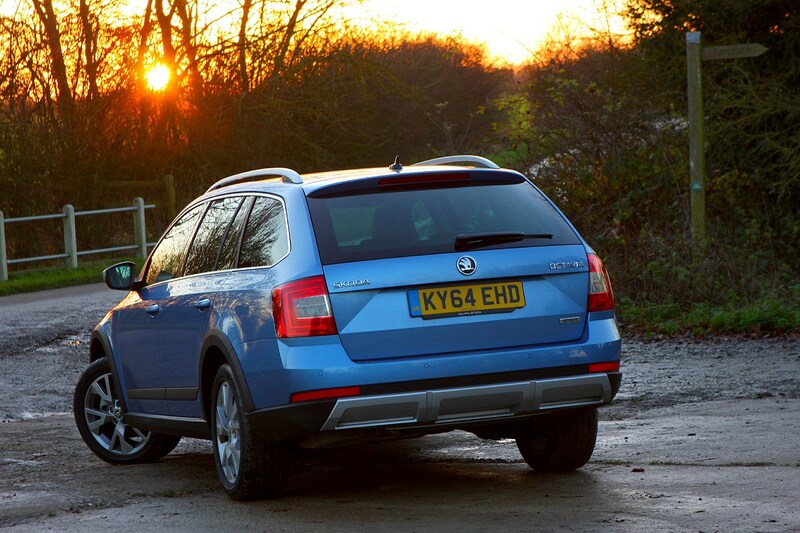 We’d opt for the manual as it’s a great all-rounder and the cheaper of the two. 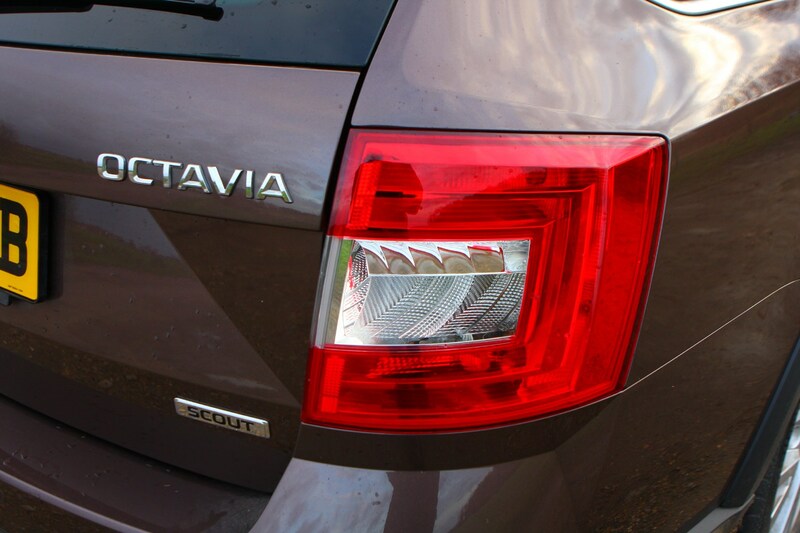 All Octavia Scouts come packed with standard equipment, but you can dip into an extensive options list if you want to add more kit. 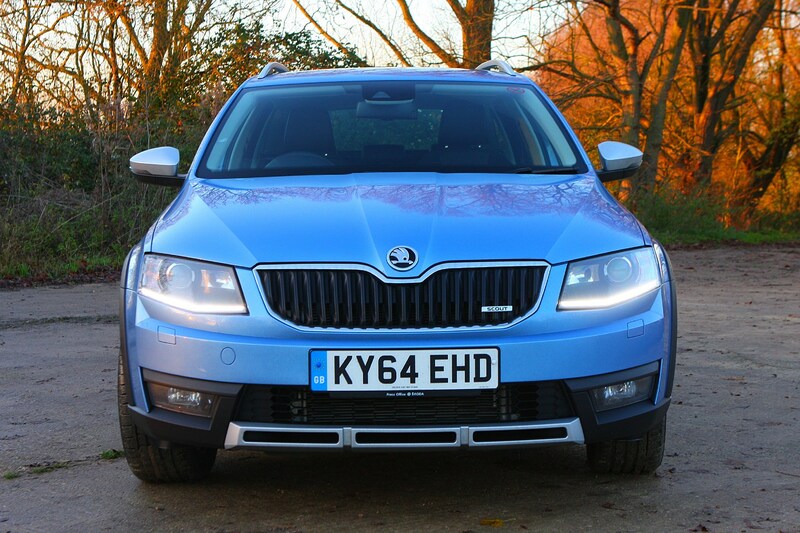 A lot of the stigma surrounding the Skoda brand has long been forgotten and as a used car they present a very attractive proposition. 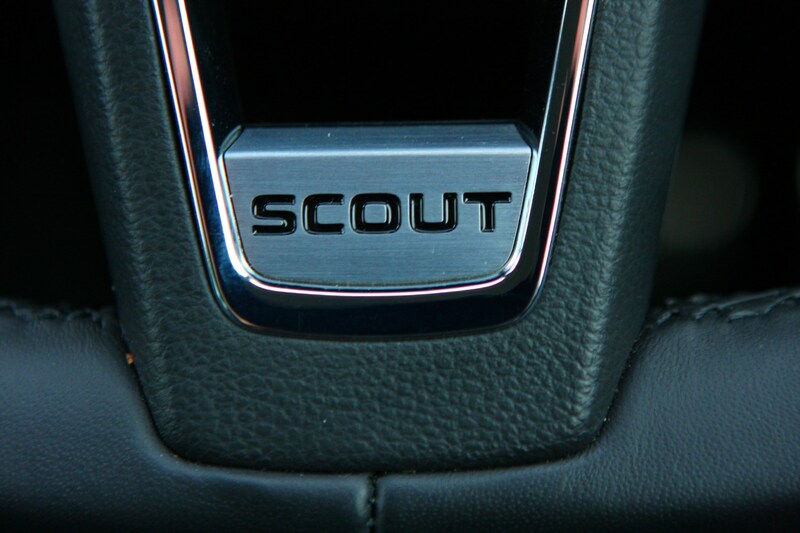 The build quality of the Octavia Scout inside and out is good and the engines are proven throughout the VW Group. 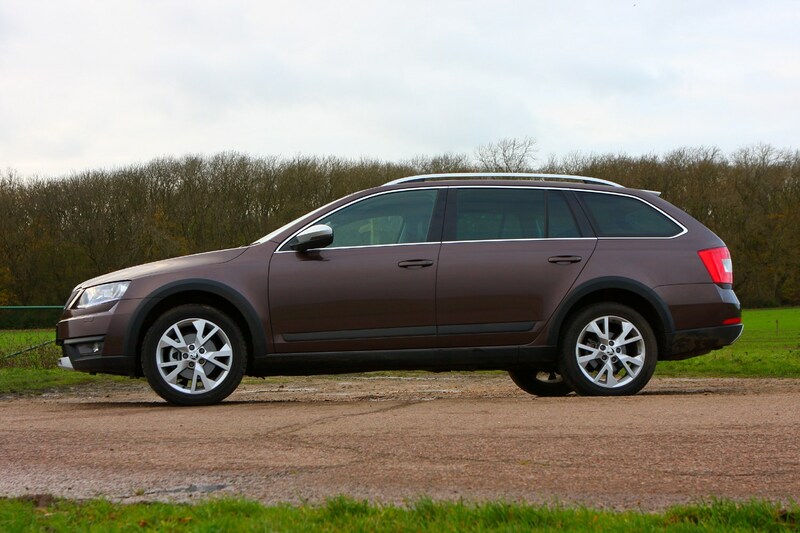 An Octavia Scout may be quite hard to find in comparison to the regular hatchback and estate models so you may need to be patient to find the right one. 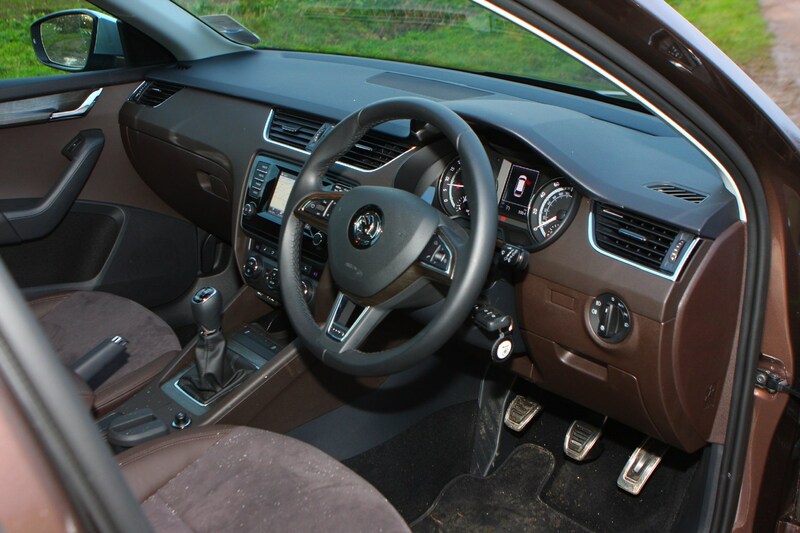 If buying from a previous retail owner, ensure that the service history is kept up to date. 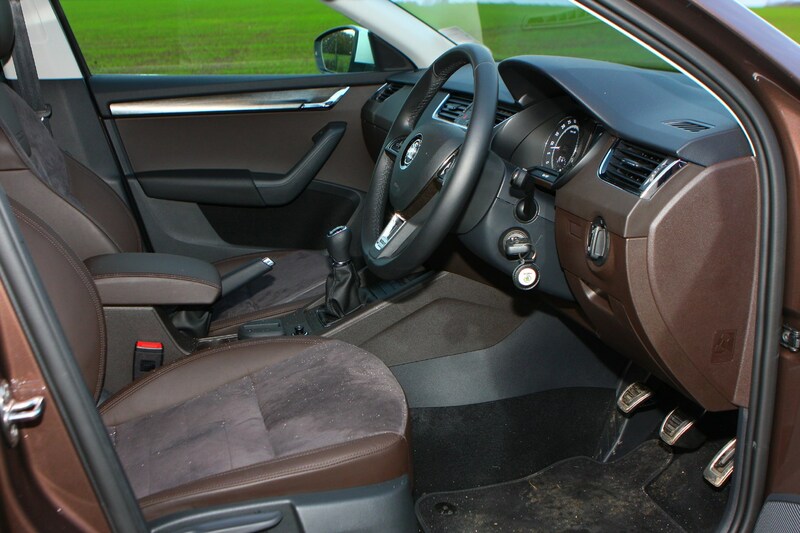 One of the advantages of buying ex-fleet cars is the peace of mind knowing that the car would have been taken care of and the paperwork should be all up to date. 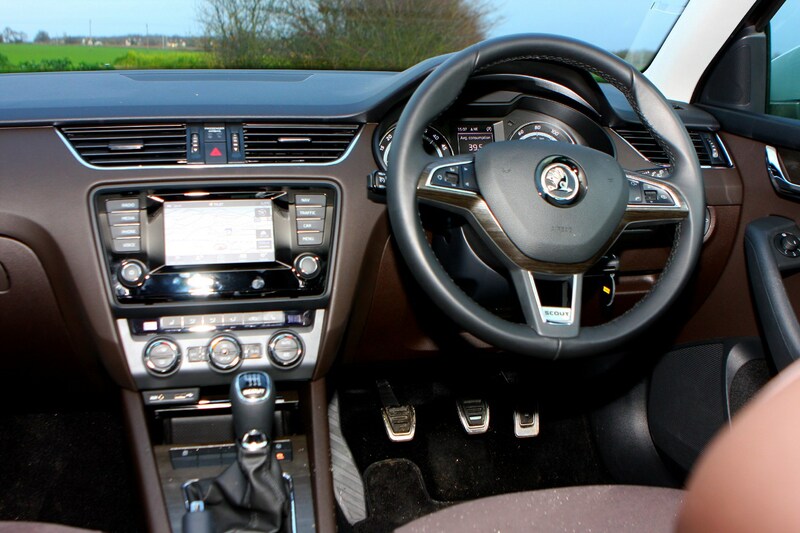 Make sure you inspect the car thoroughly including the brakes and tyres and don’t forget to get a Parkers Car History Check carried out on the car to make sure there are no hidden surprises which will put you off buying. 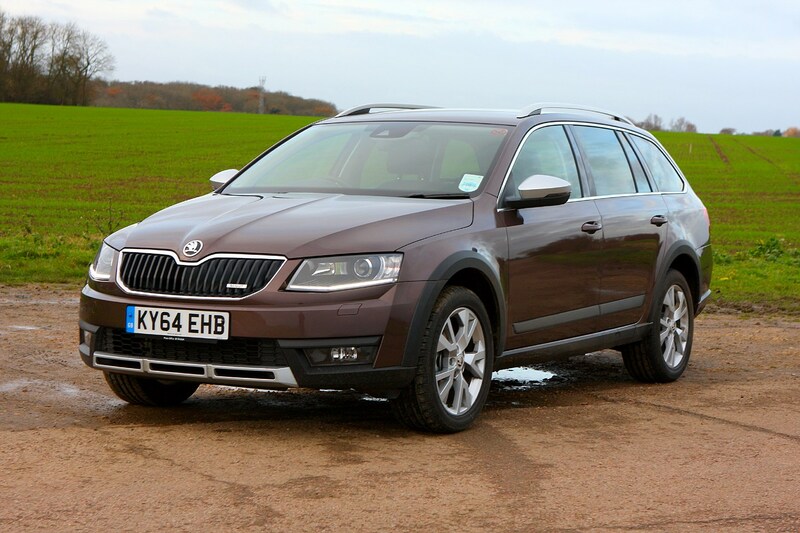 As the Scout sells in much smaller numbers than the regular Octavia Estate, you may find the model may not be in as much demand as other more popular cars in the Skoda range. 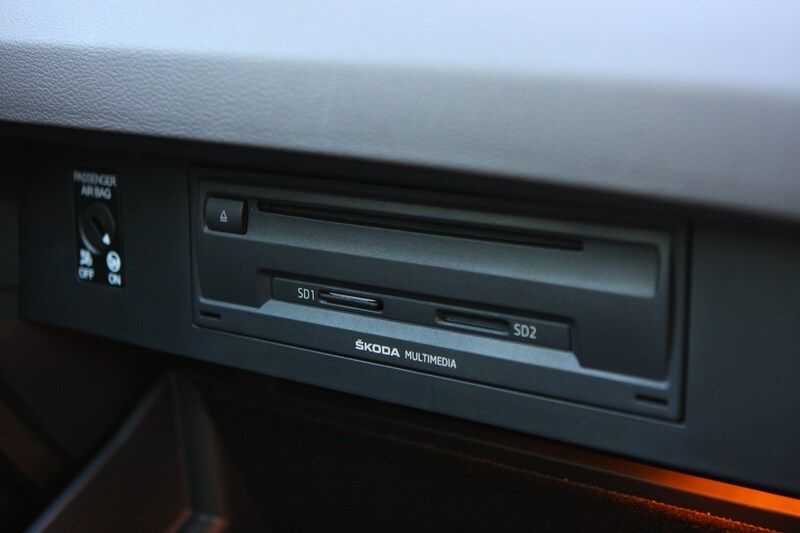 While it may take some time to sell, low volume means it should hold its value pretty well though. 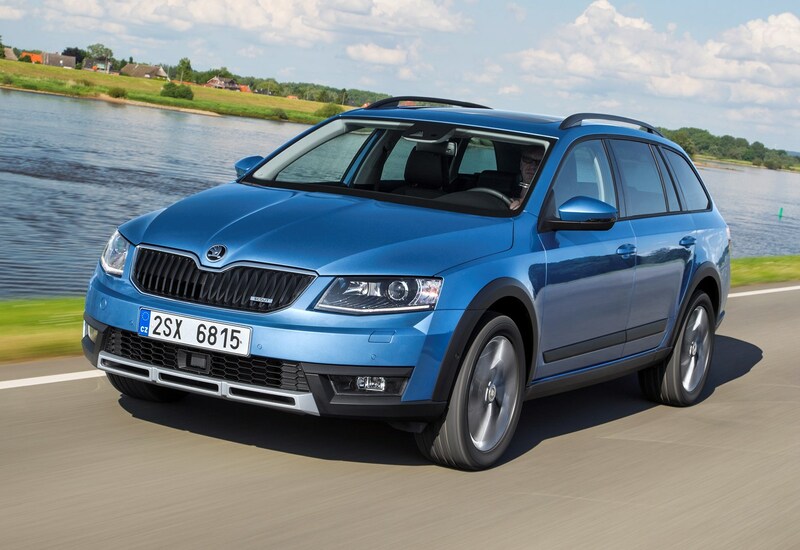 You need to ensure that you keep an up to date record of your Skoda Octavia Scout’s service and maintenance history so when it comes to selling on, you have everything in order. 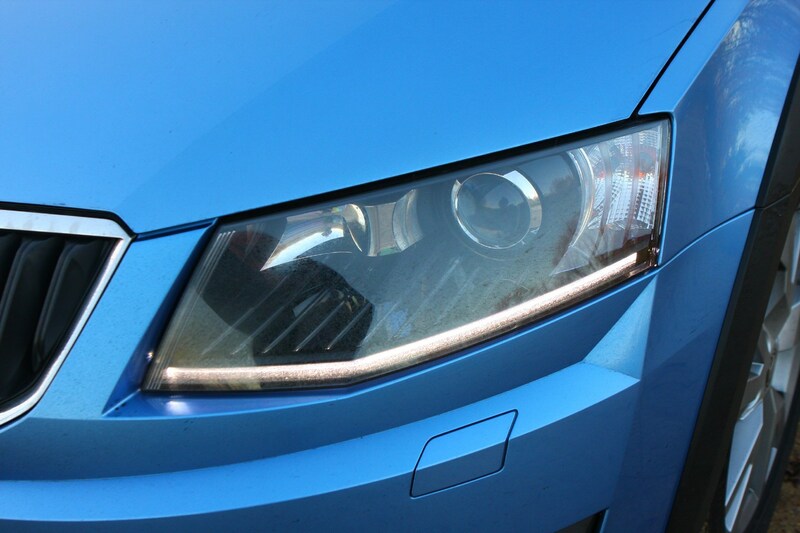 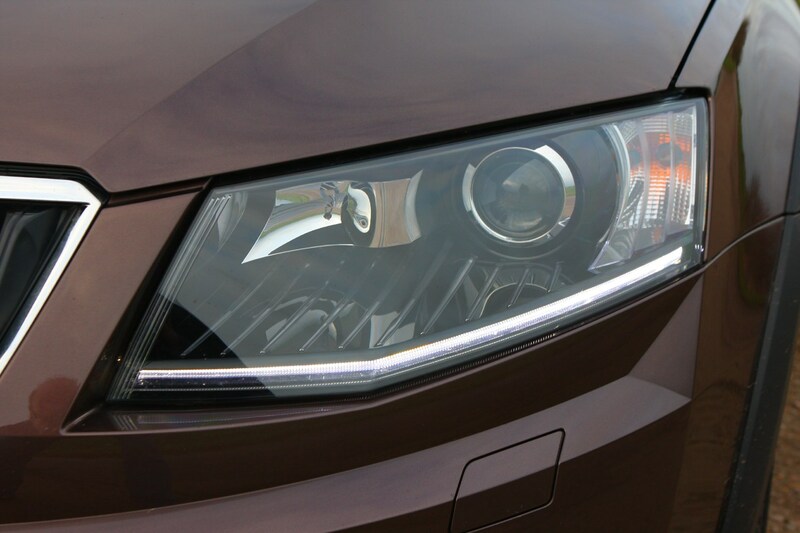 Having the car serviced at your local Skoda dealership will also help to sell the car and if you’ve added any aftermarket modifications then consider removing them before selling to boost its appeal to a broader spectrum of the market. 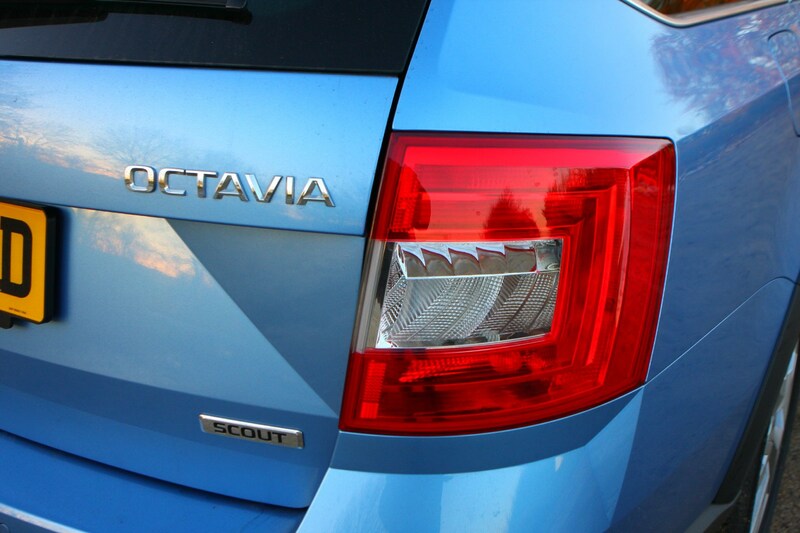 There are a number of ways to sell your Octavia Scout, either on forums, in your local newspaper, or online. 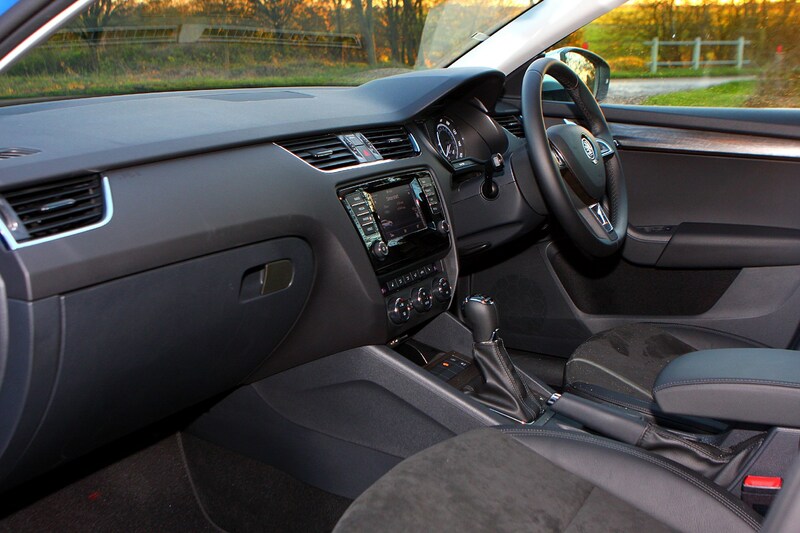 As always, make sure the car is presented well having had a thorough valet inside and out, and take plenty of pictures showing off all of the car’s best features.